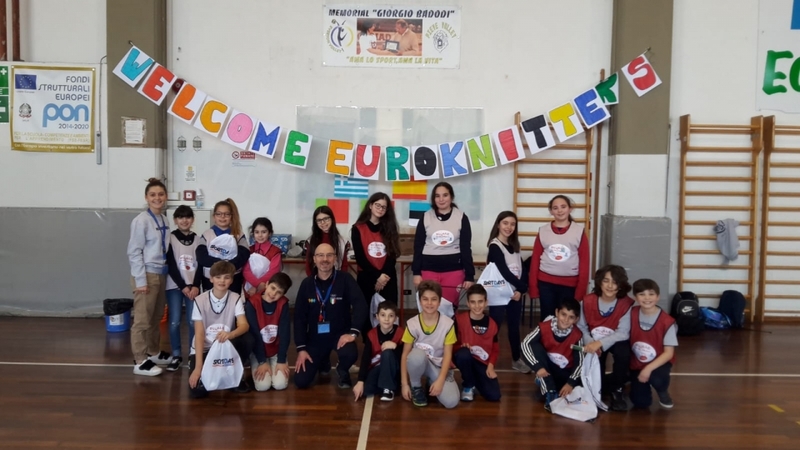 Today all the Euroknitters were coming in Italy!!! 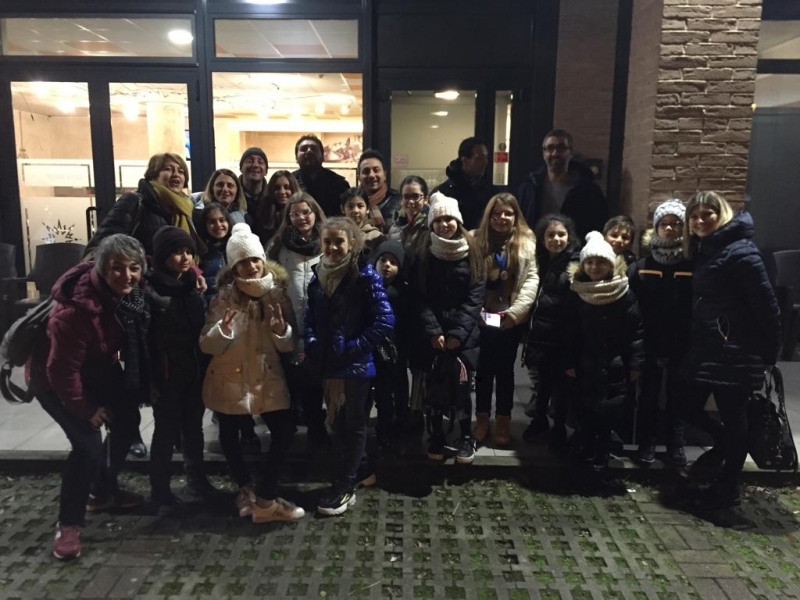 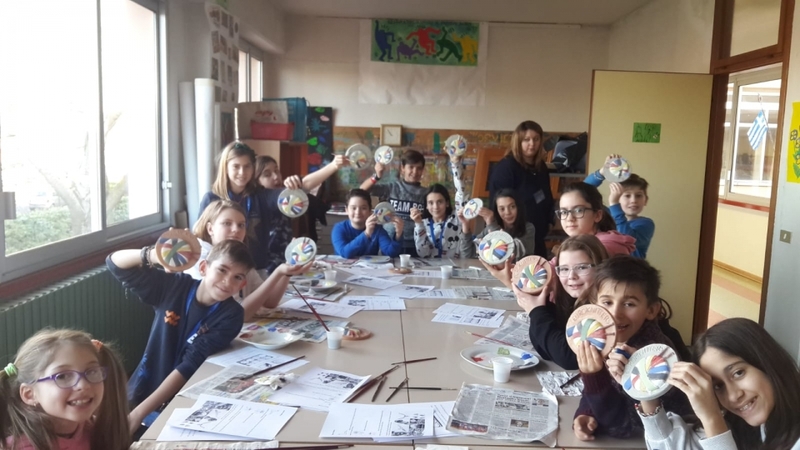 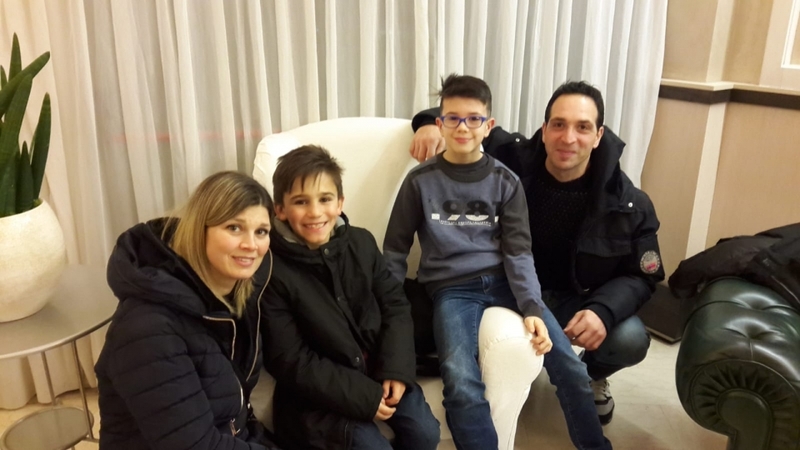 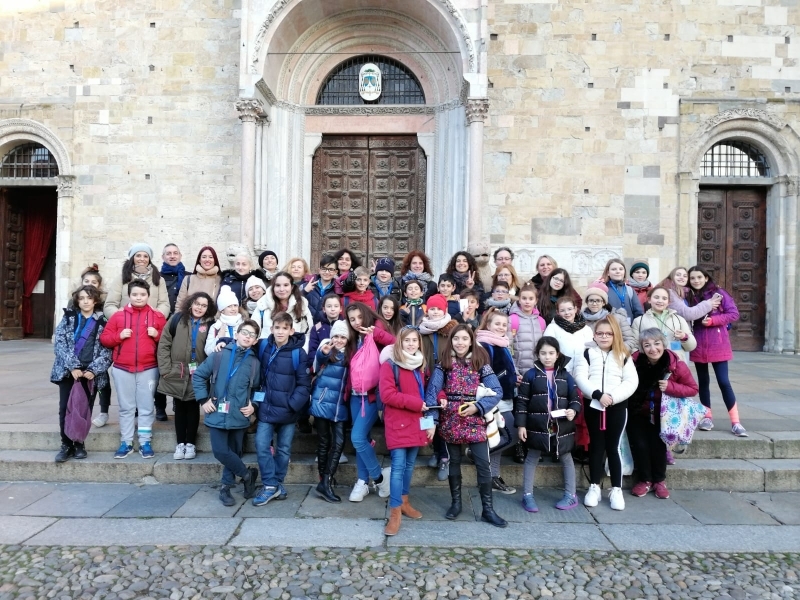 Welcome to everyone in Reggio Emilia! 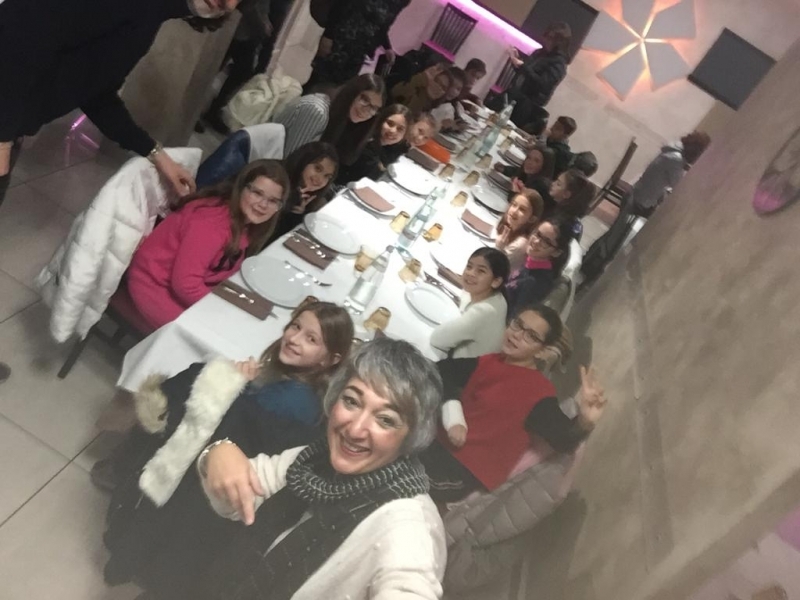 Students met their families and together they will start this adventure! 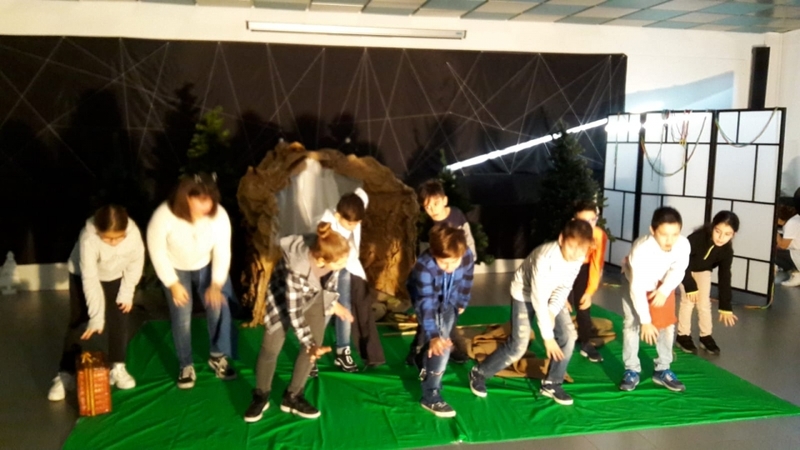 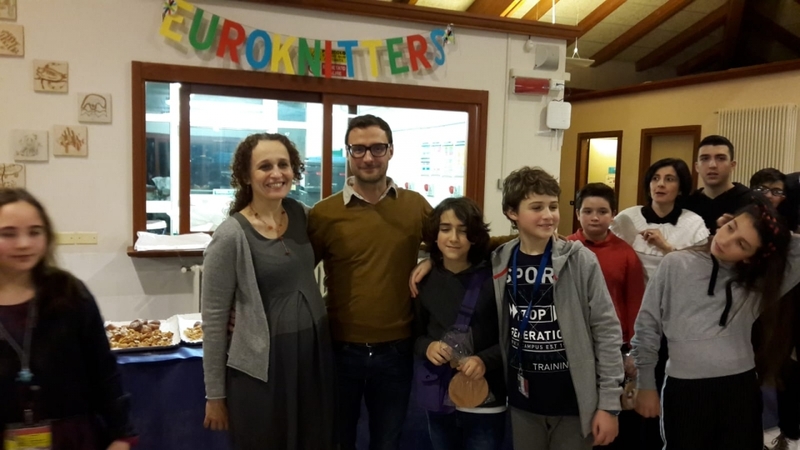 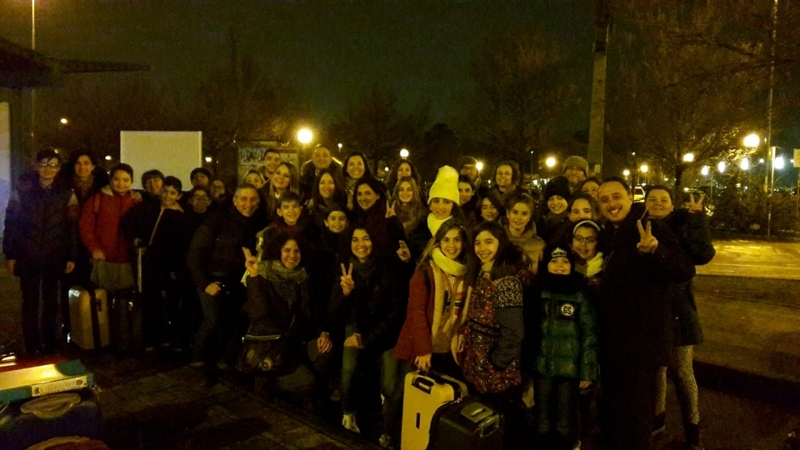 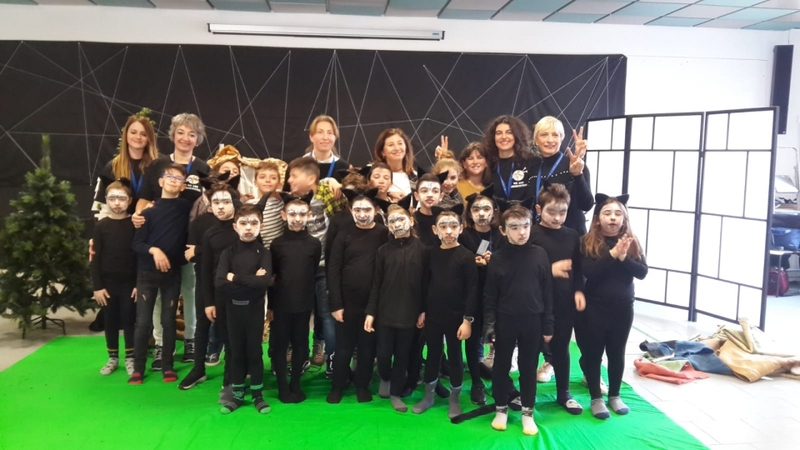 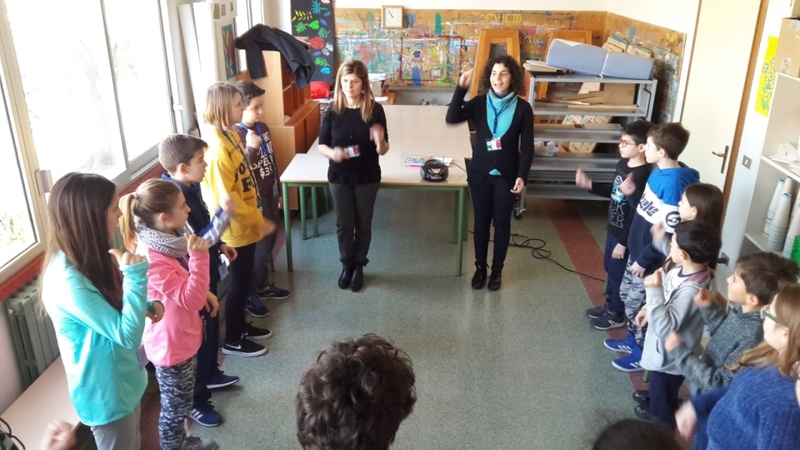 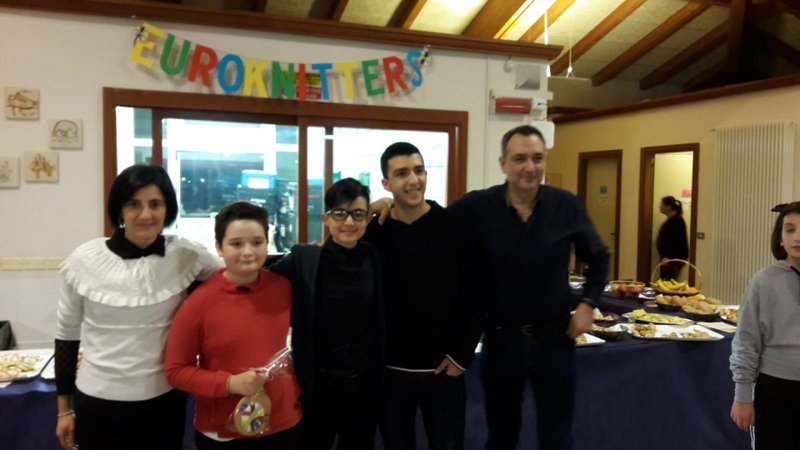 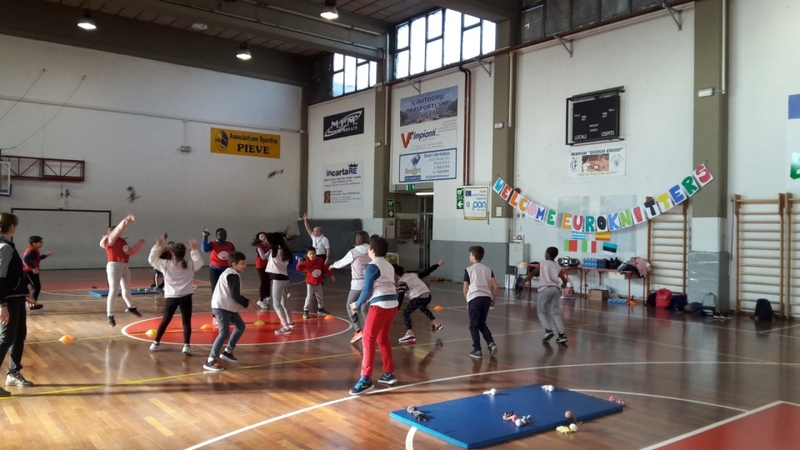 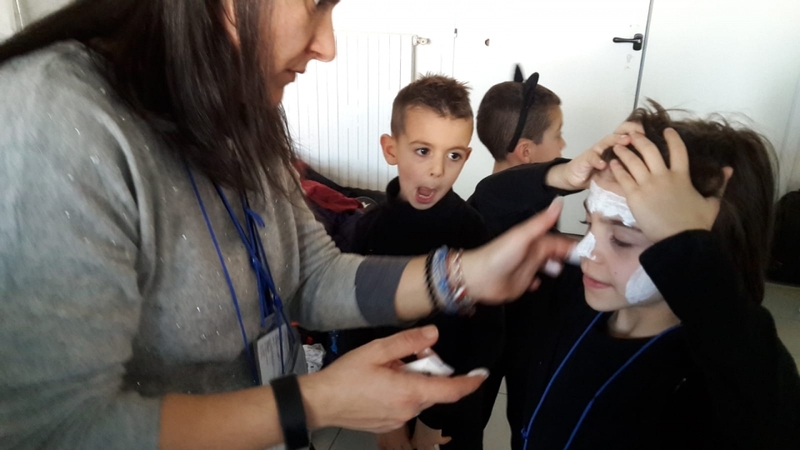 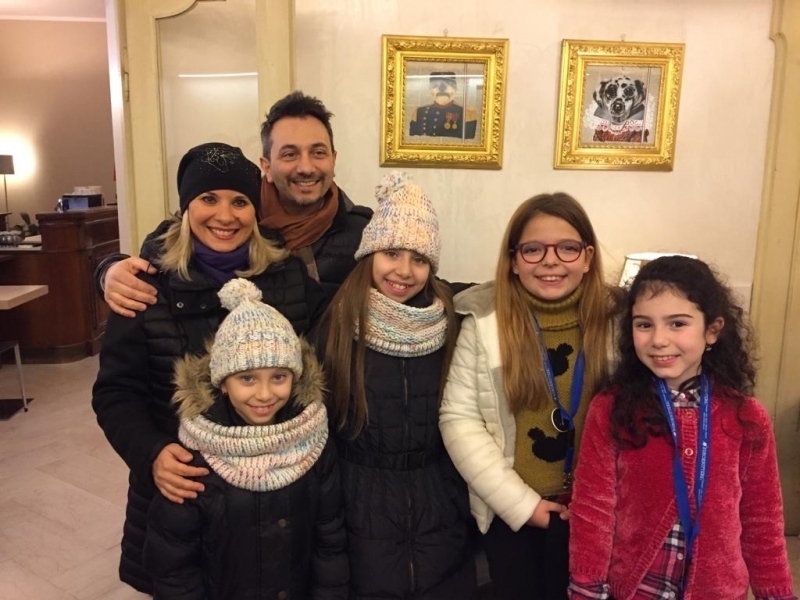 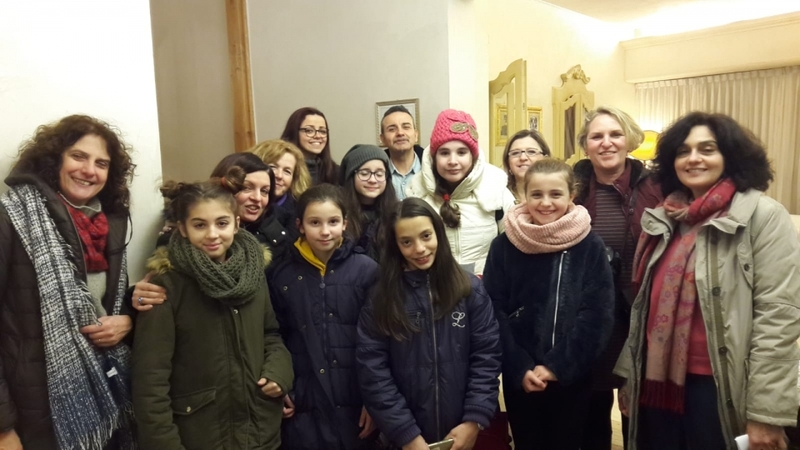 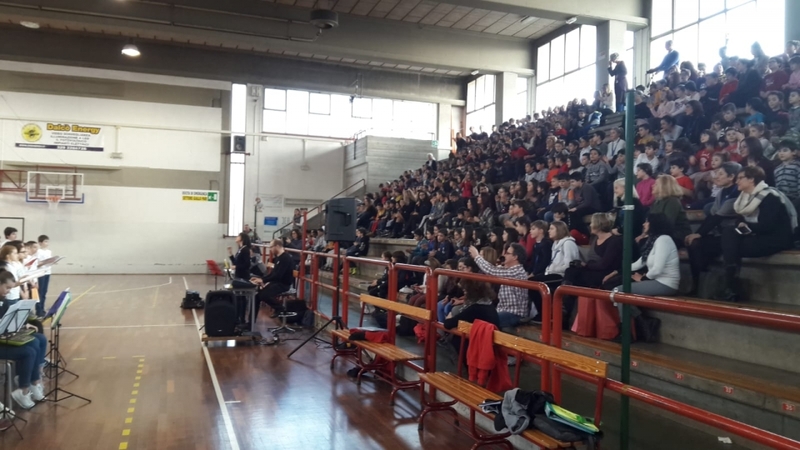 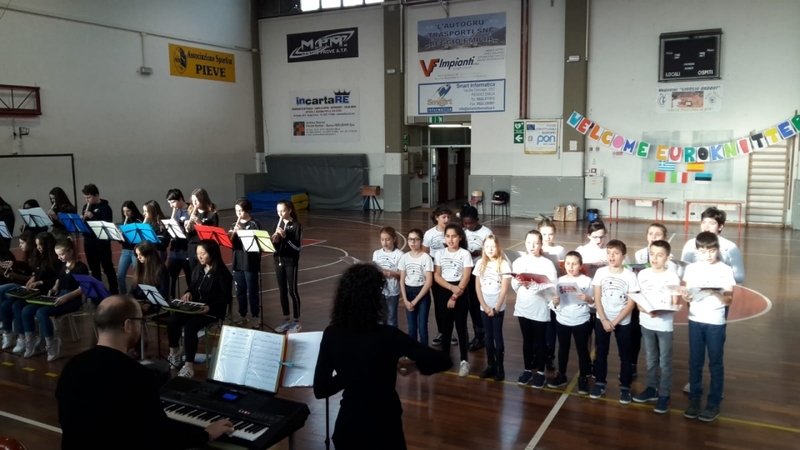 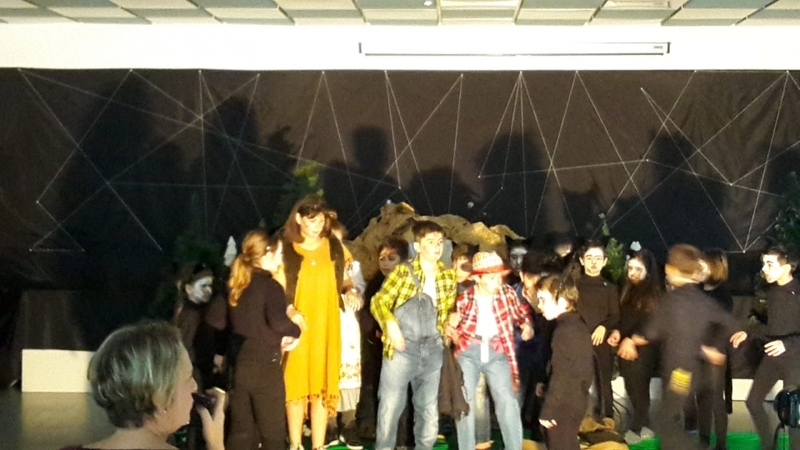 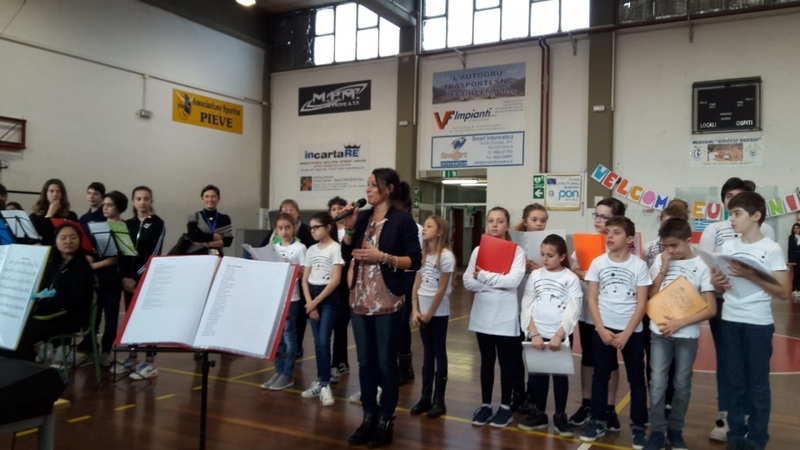 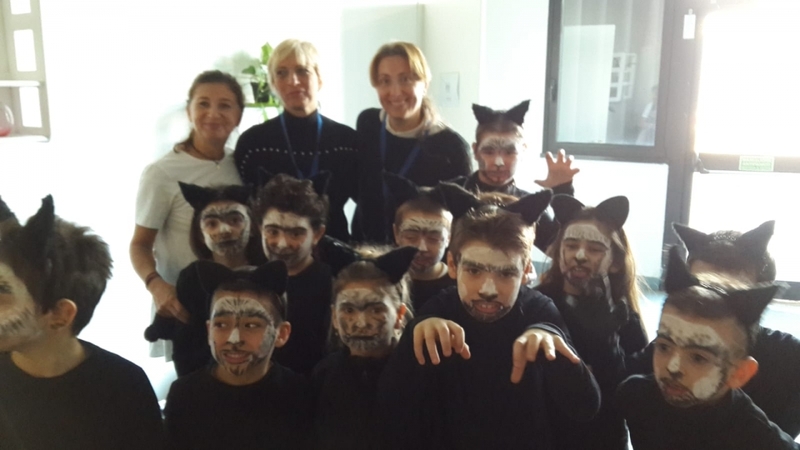 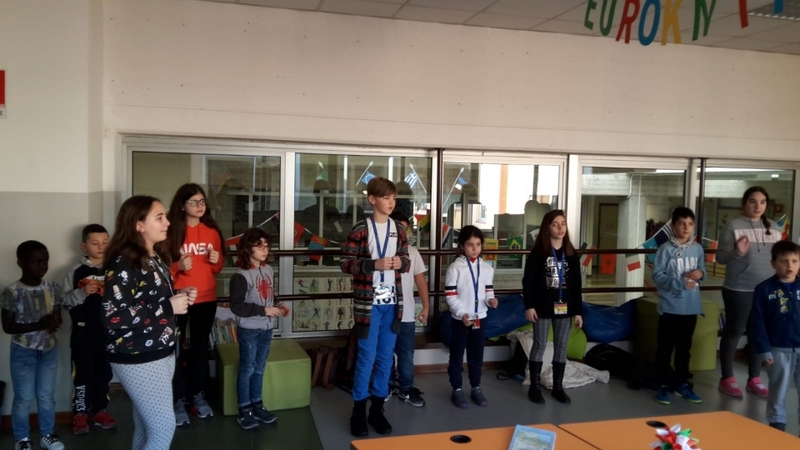 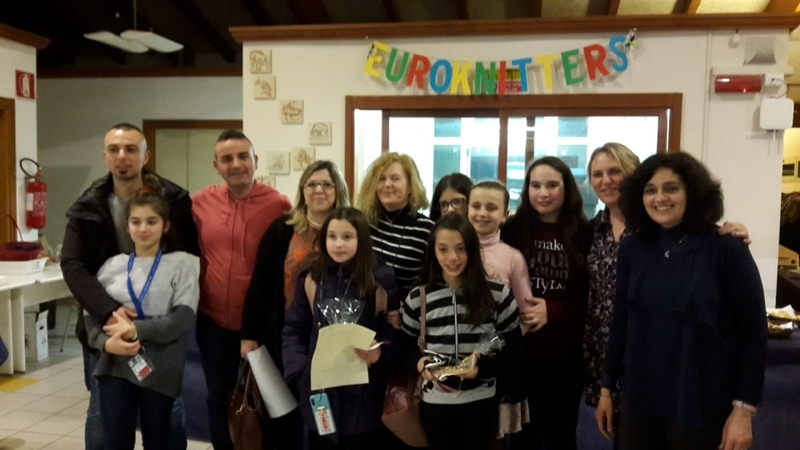 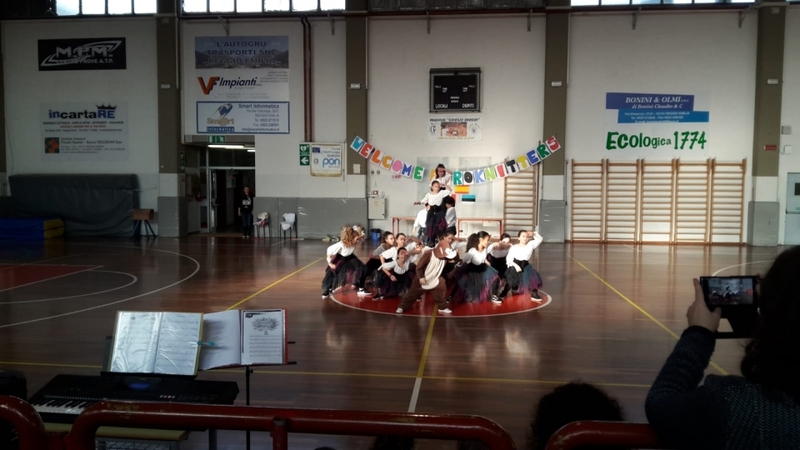 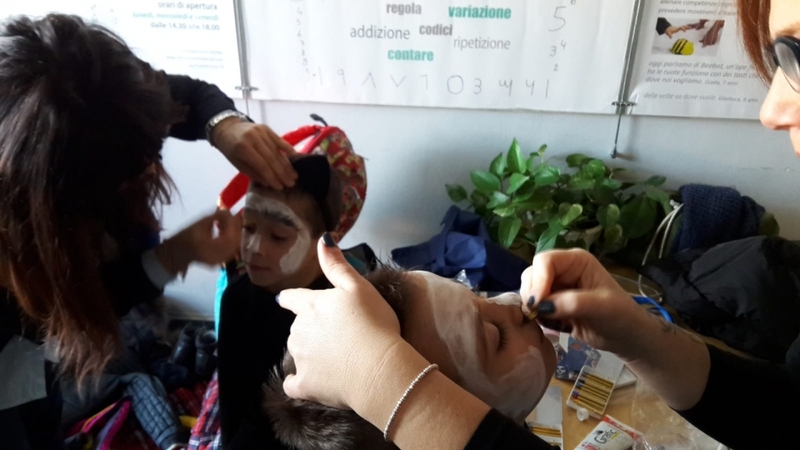 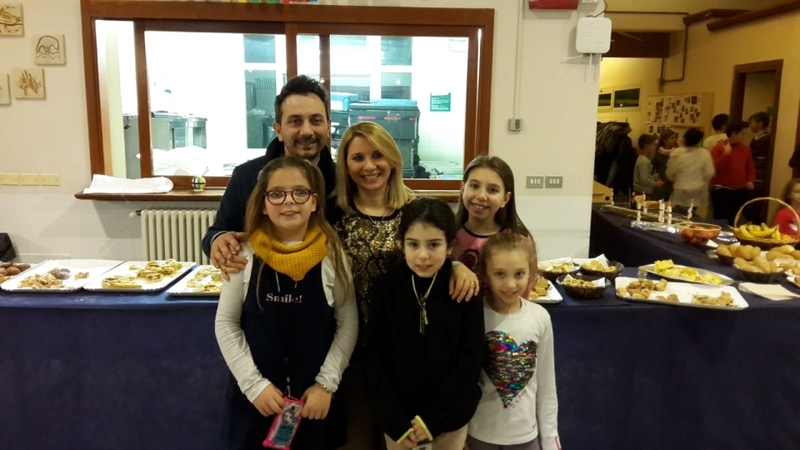 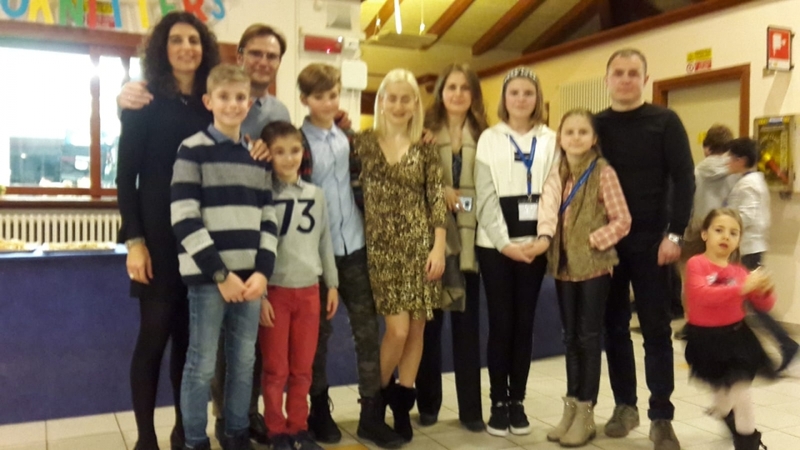 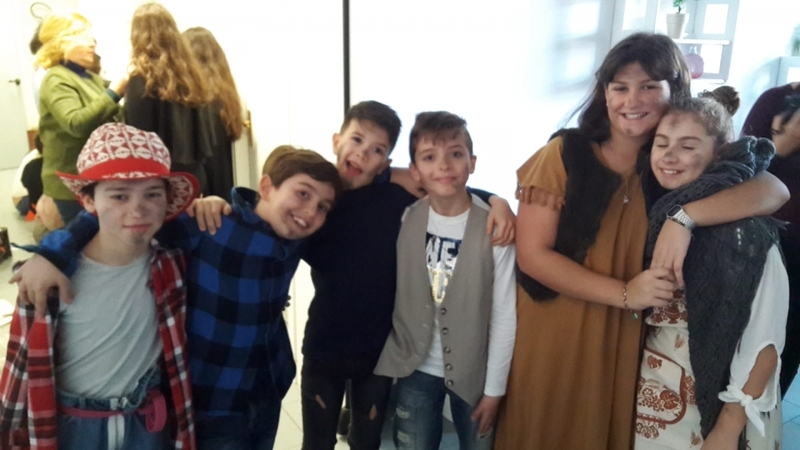 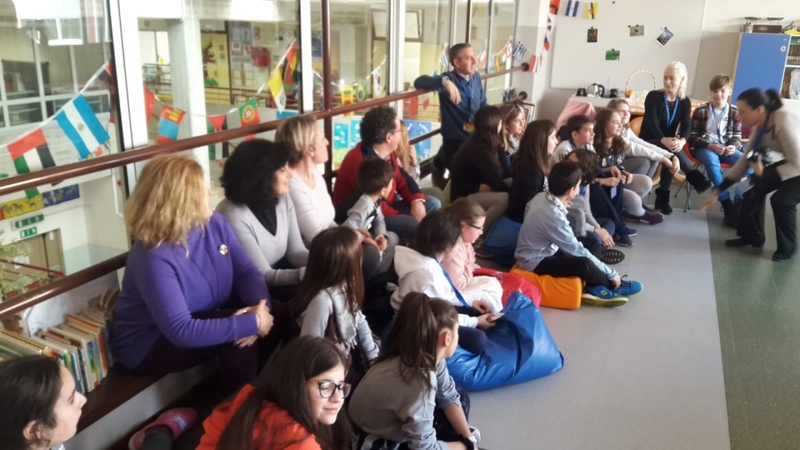 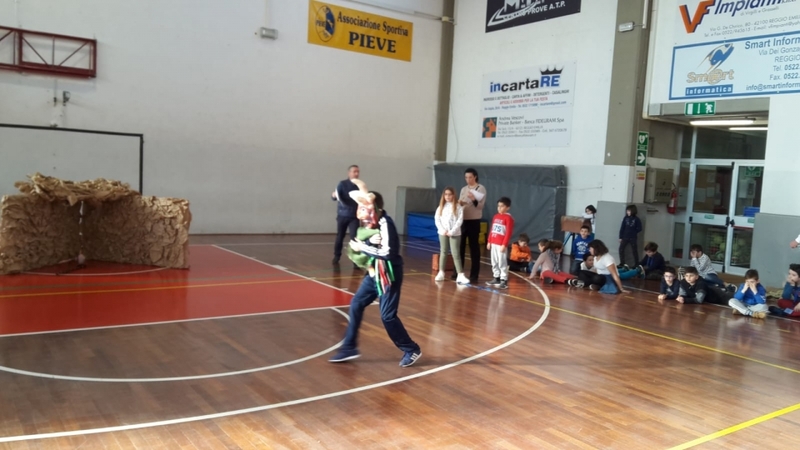 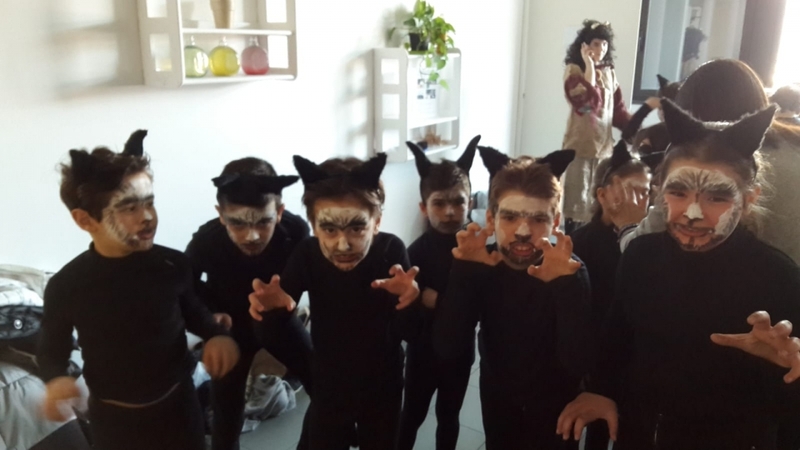 Welcome cerimony: dances, songs and music!Great italian dancers, singers and musicians realized a wonderful performance!Thank you to all of the teachers and in particular to Stefania Camparada of Dance Academy! 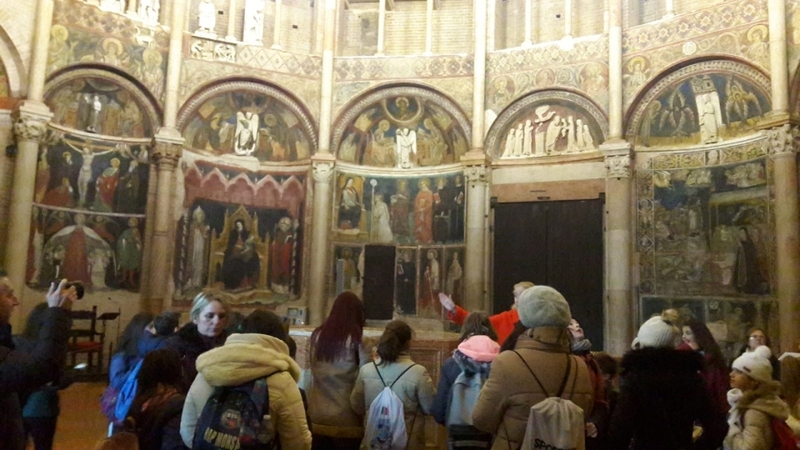 Then the guided tour of the schools: the students of secondary school were very good guides. 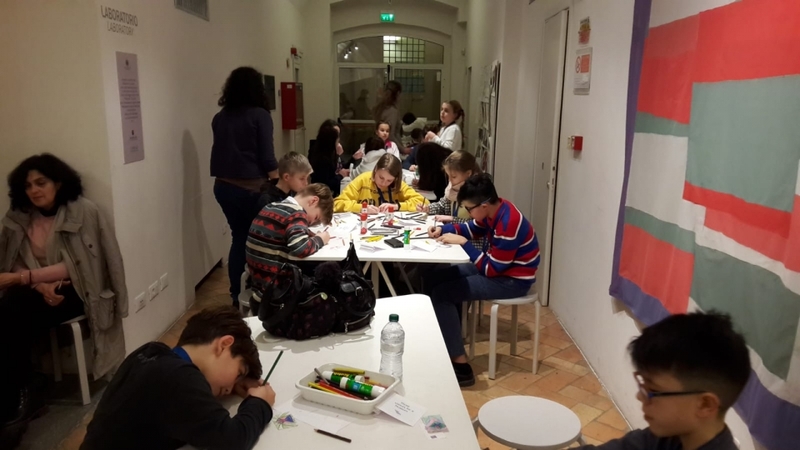 The rehearsal of the Tapestry, 2 workshops about pottery and knitting and at the end the guided tour of the Reggio Emilia. 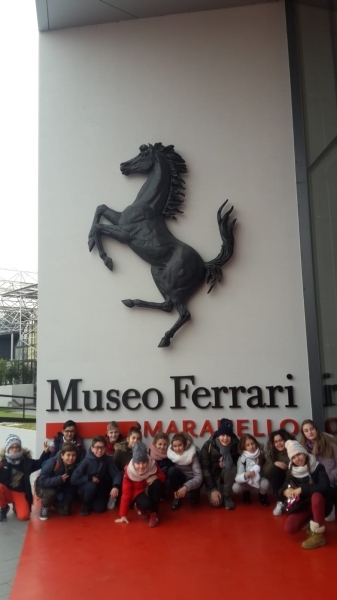 A long and hard day but with a lot of things to do and to learn! 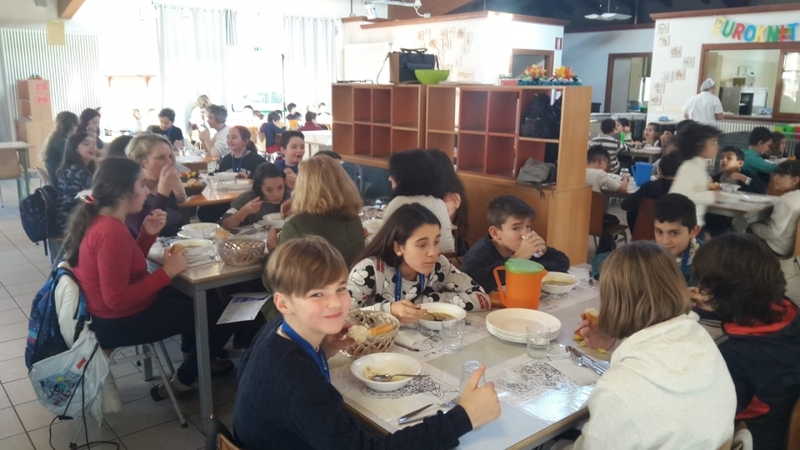 Today was the typical food day! 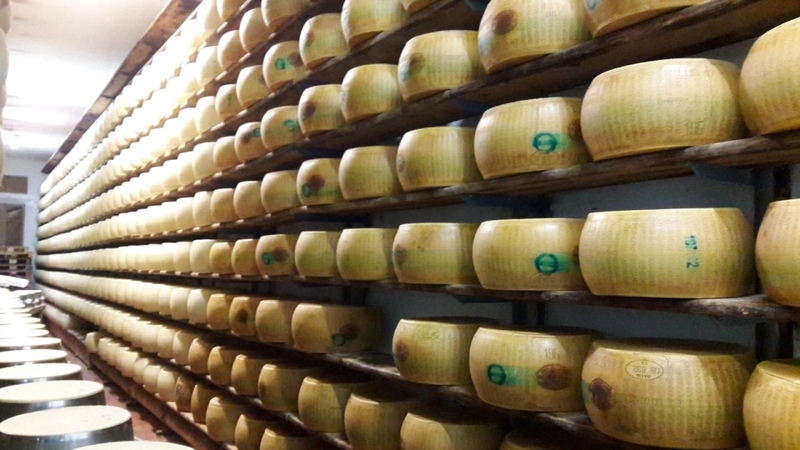 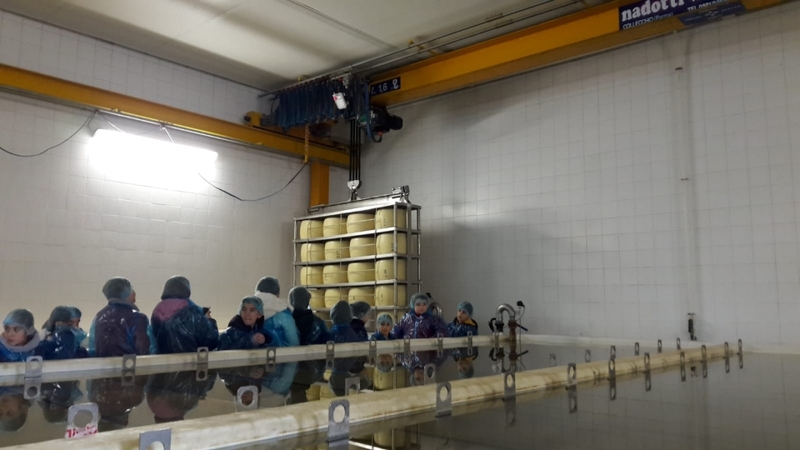 The Parmigiano Reggiano cheese factory and the Cappelletti were the mains caracters! 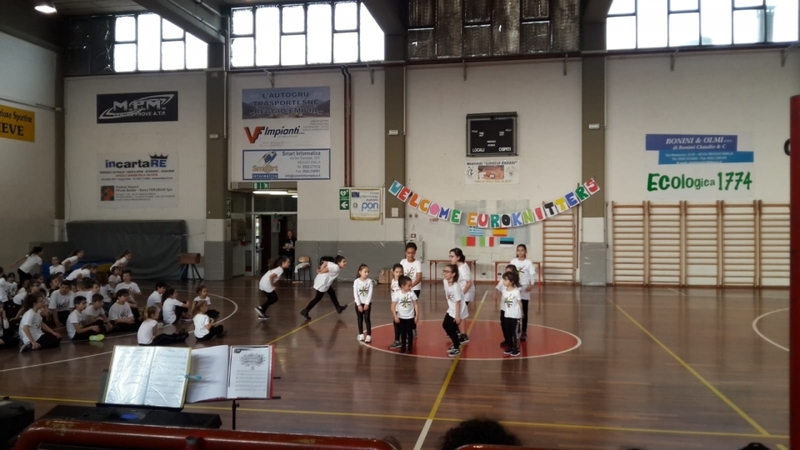 We made also 2 funny workshops: one in the gym and one about body percussion! 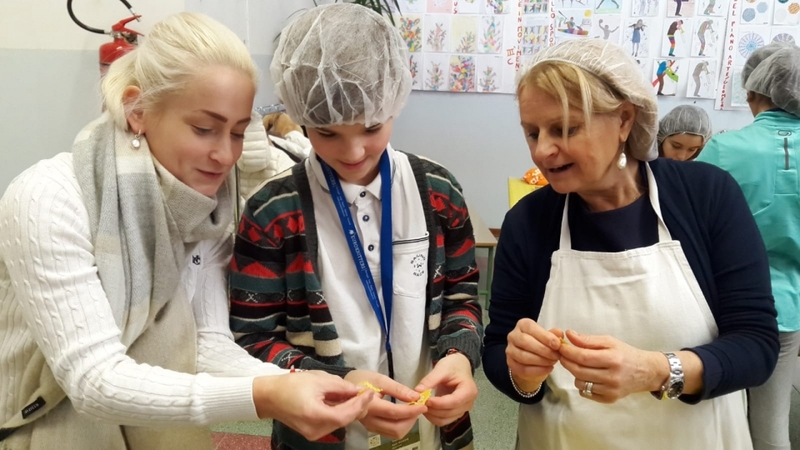 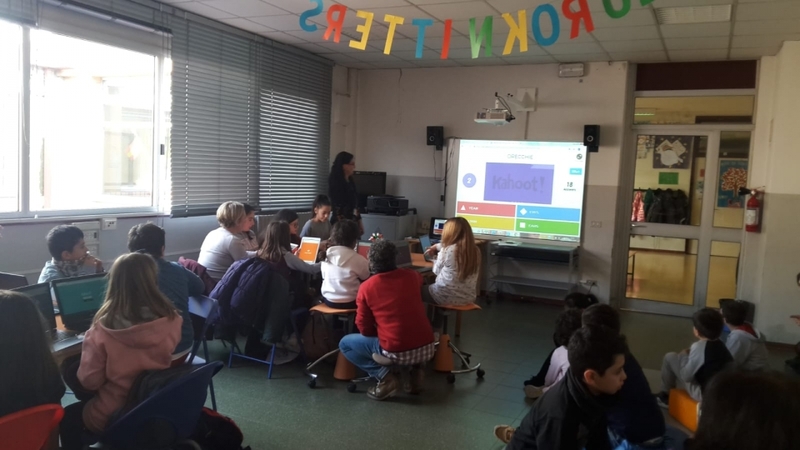 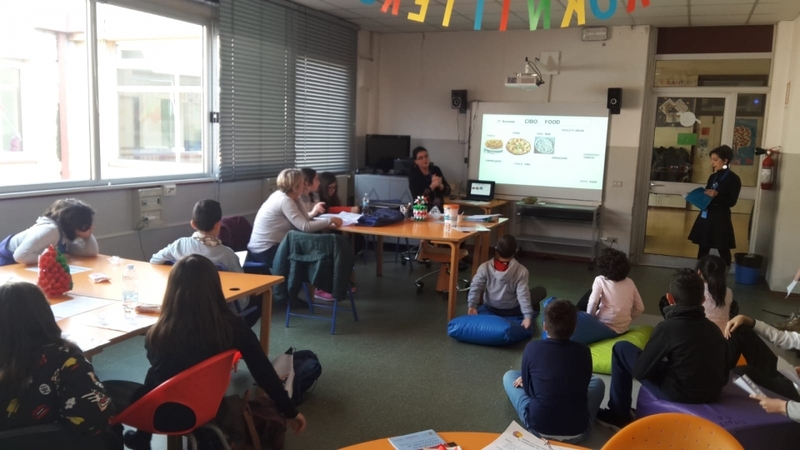 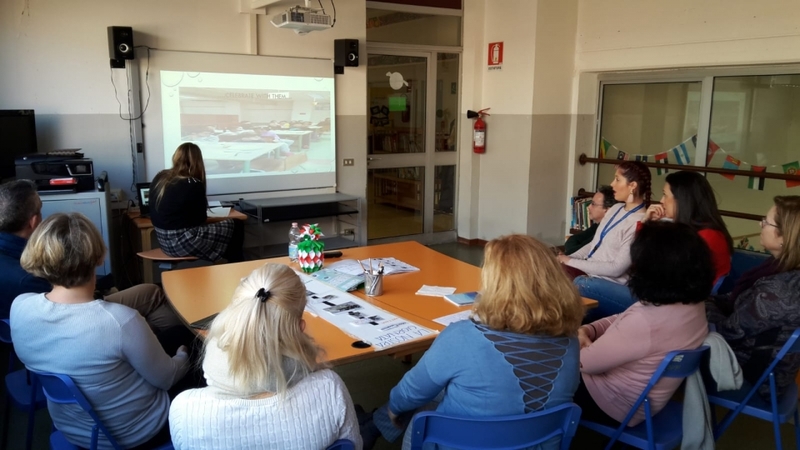 The teachers were involved in a workshop about inclusion. 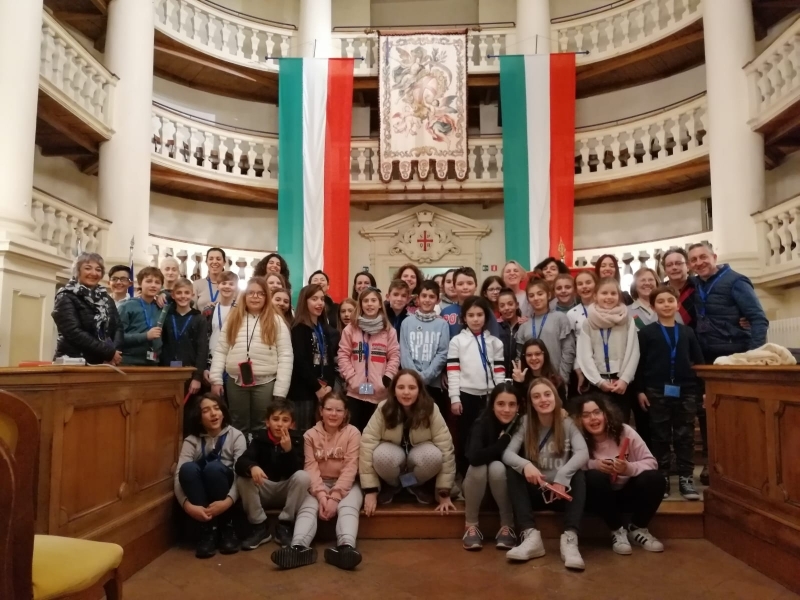 After the rehearsal of the Tapestry we went in the Tricolore musum to create a flagbook. 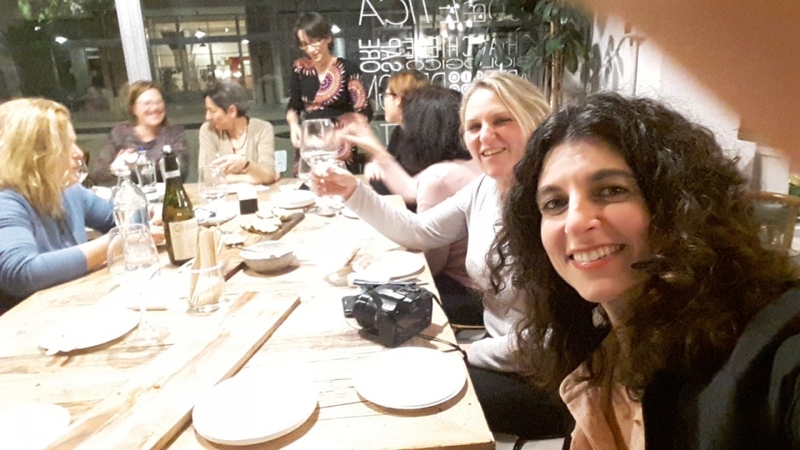 Aperitiv in the evening for teachers! 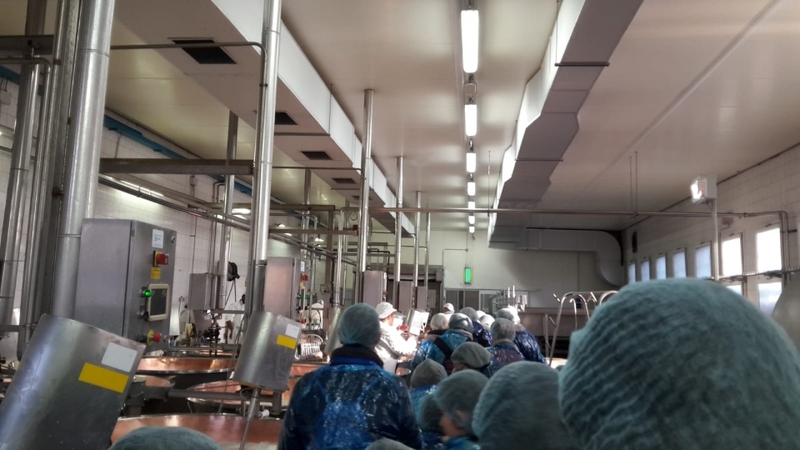 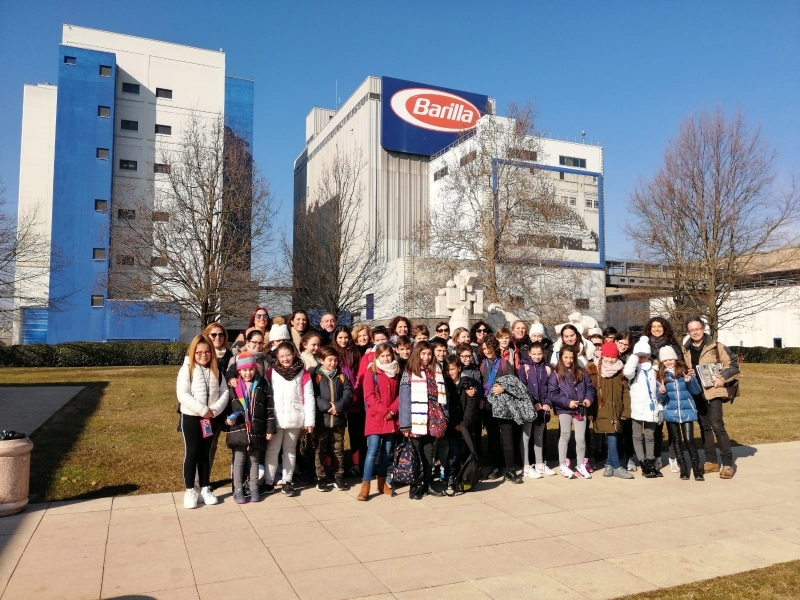 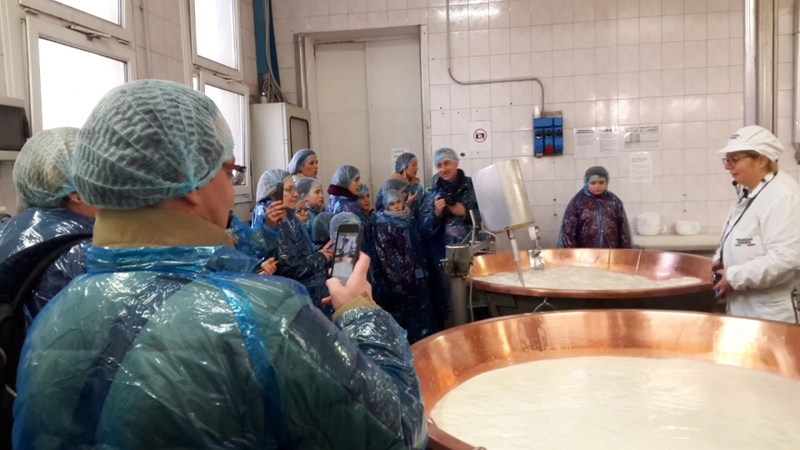 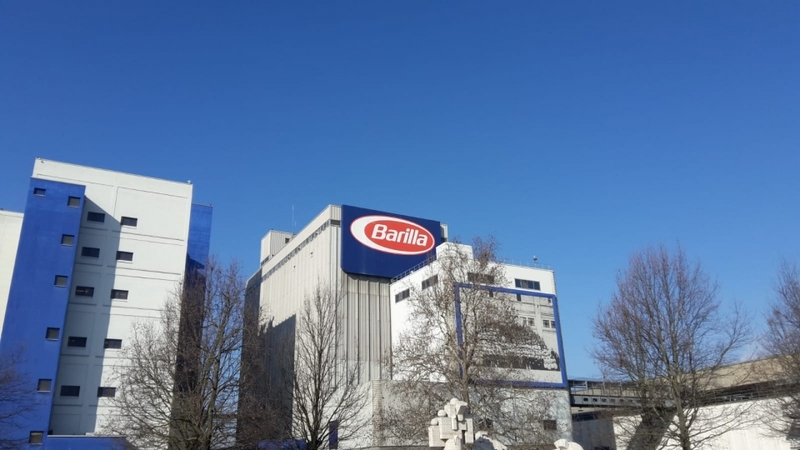 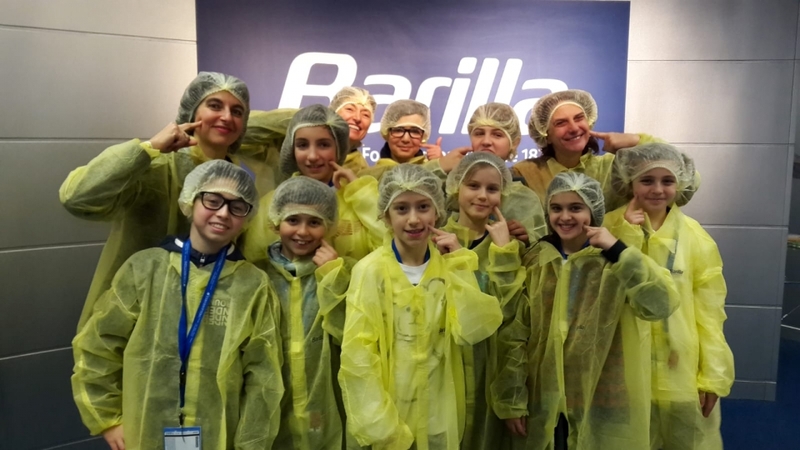 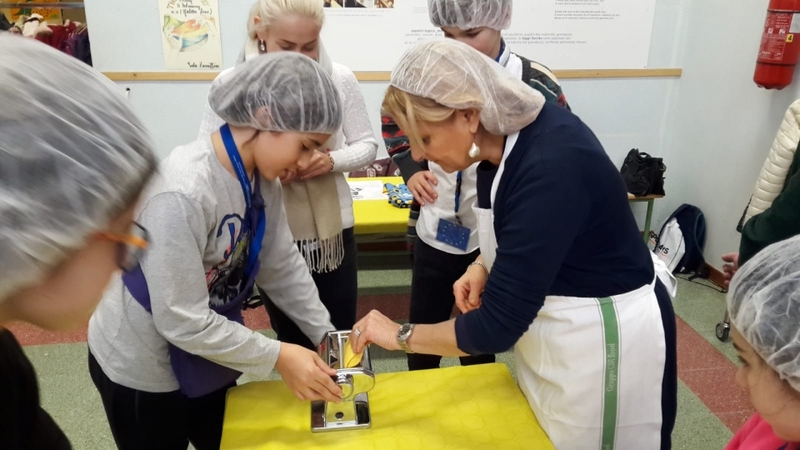 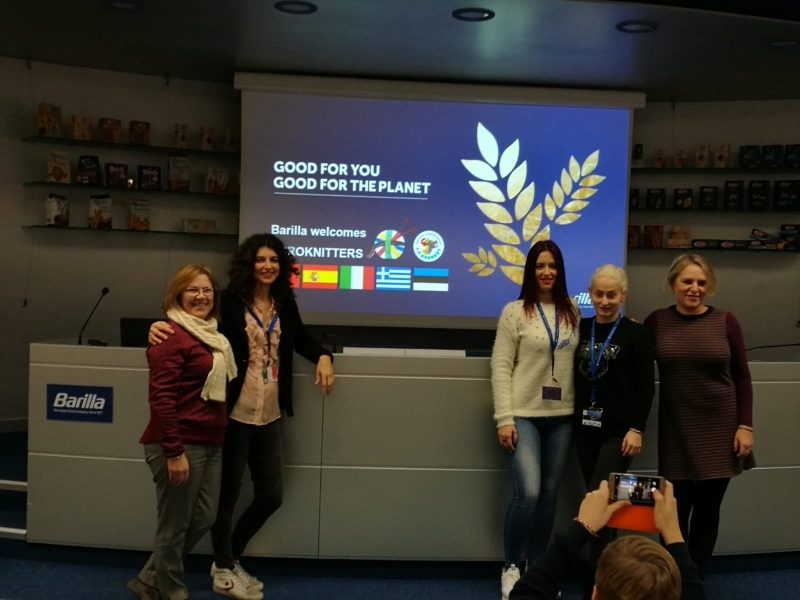 A great trip for the Euroknitters: first the visit in the Barilla’s factory ! 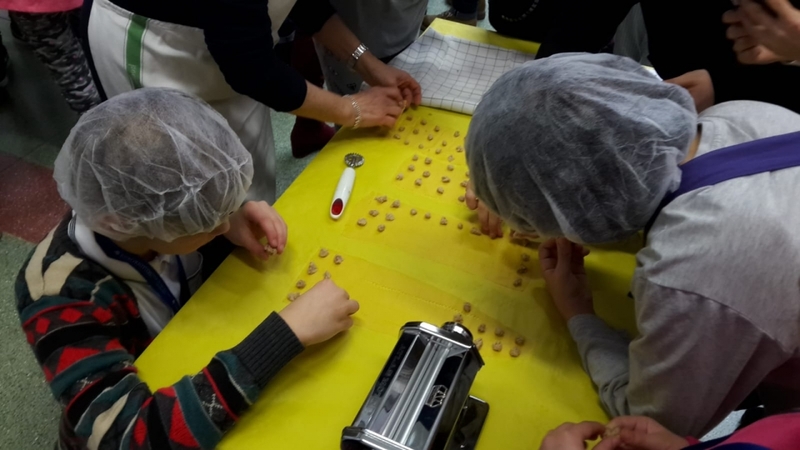 We knew the story of a family that created a pasta famous everywhere. 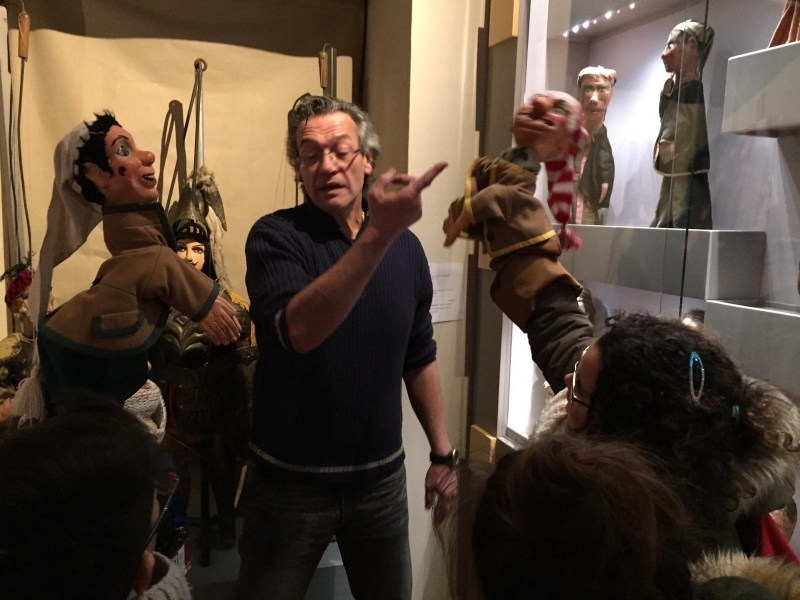 … a small group went to Puppet Castle. 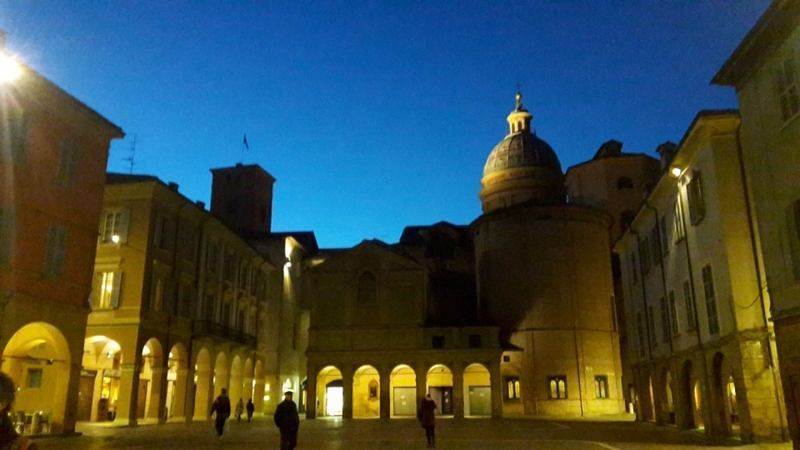 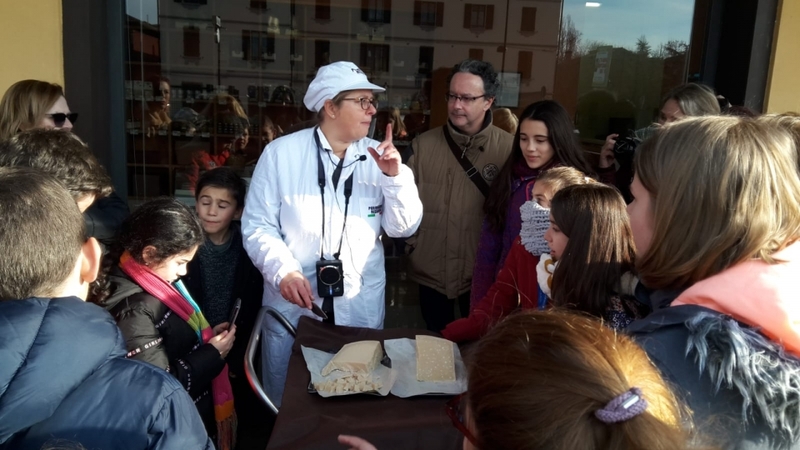 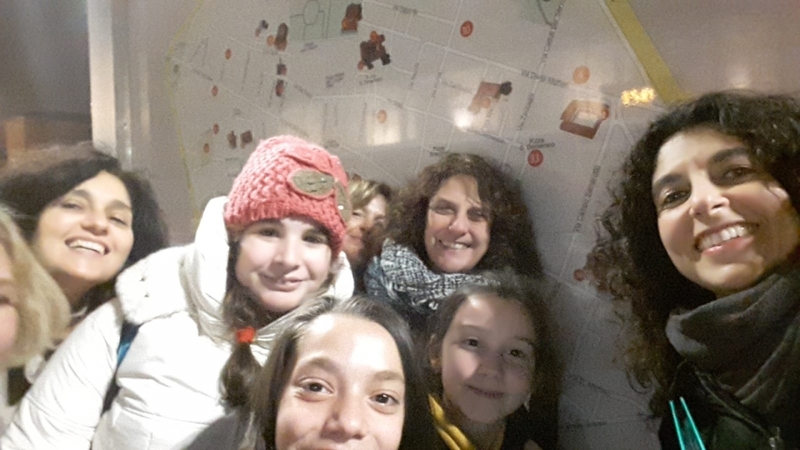 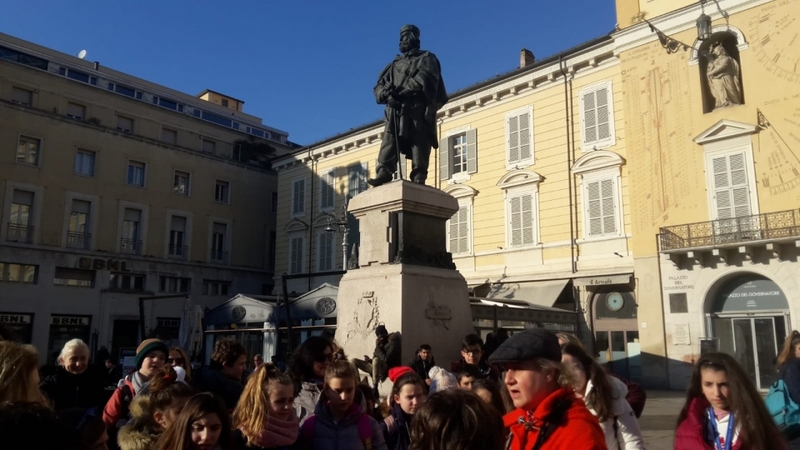 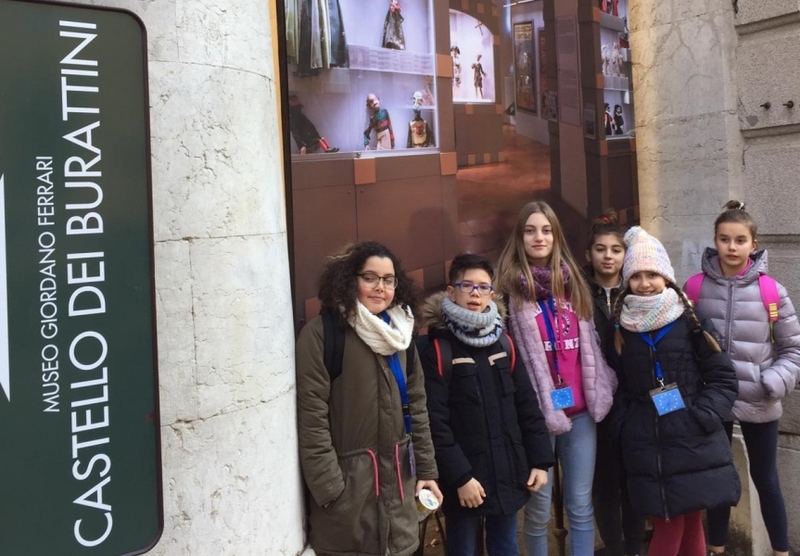 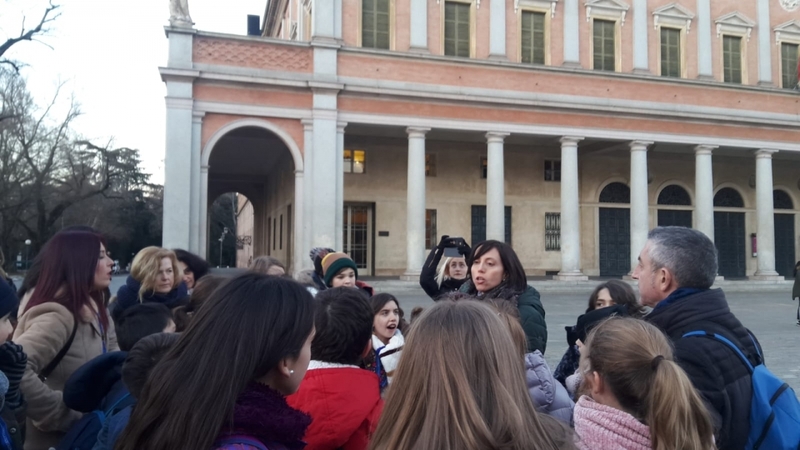 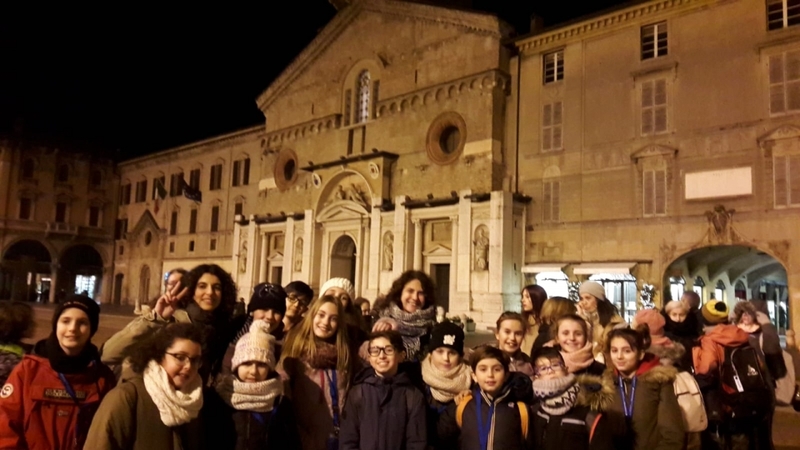 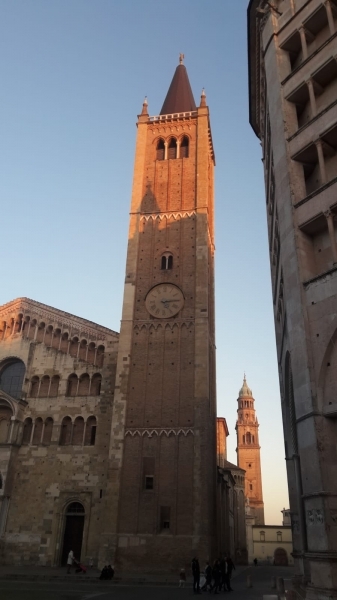 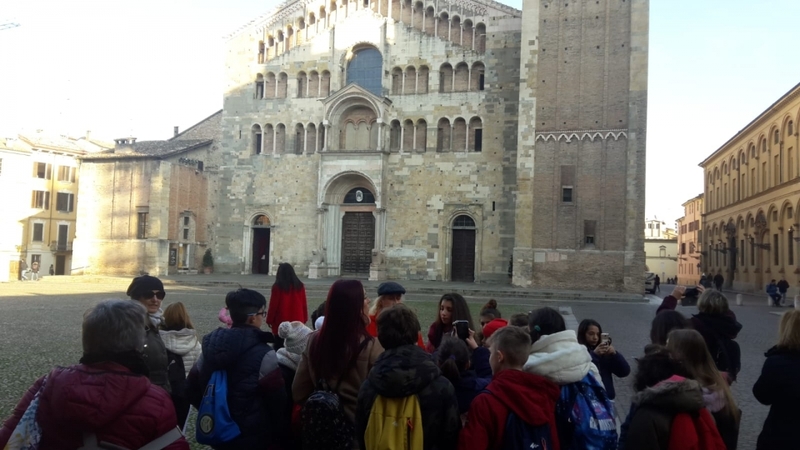 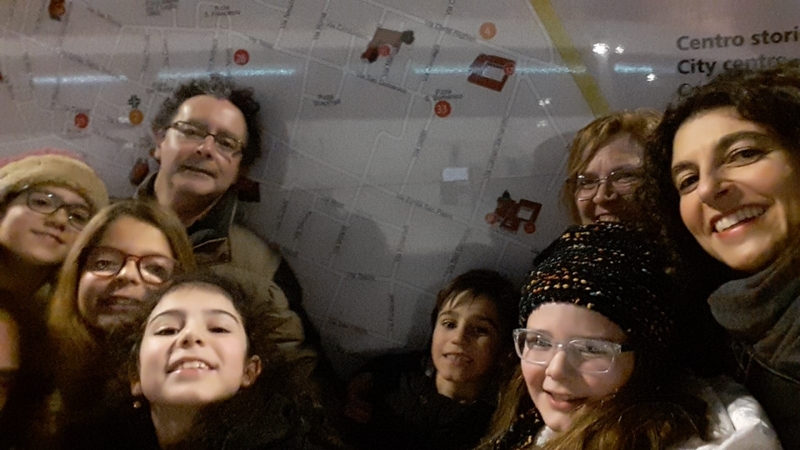 After a good lunch in the typical restaurant in Parma, the guided visit of the city: a funny way to descover the most important monuments of this city. 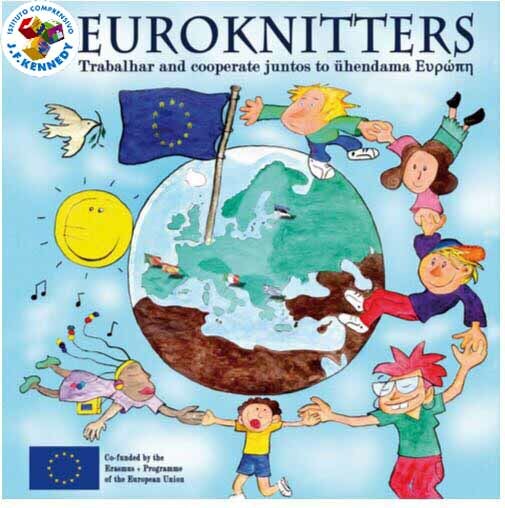 The sun shined on the Euroknitters activities this morning! 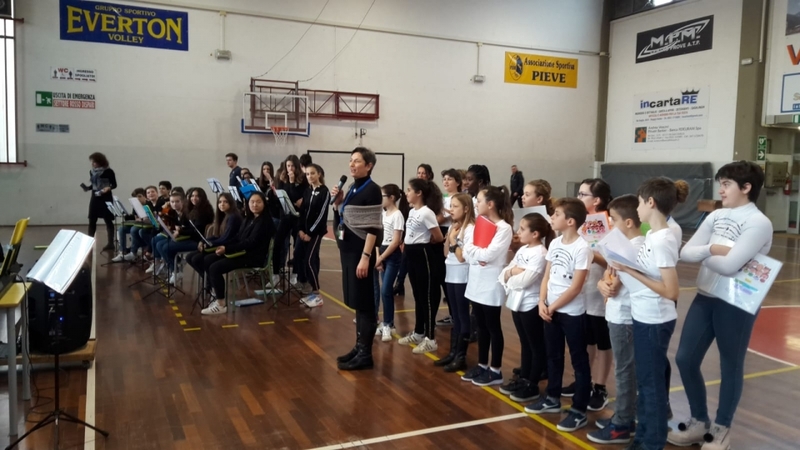 Rehearsal of the Tapestry, workshops about games in the gym and body percussion for students and about “Flipped Classroom” for teachers. 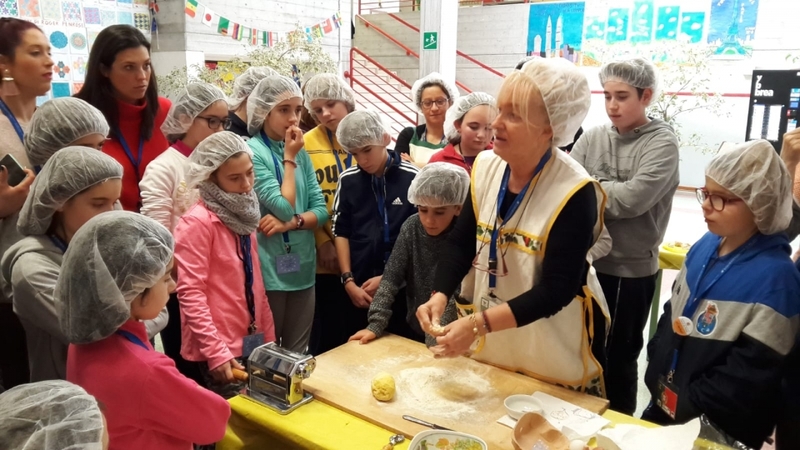 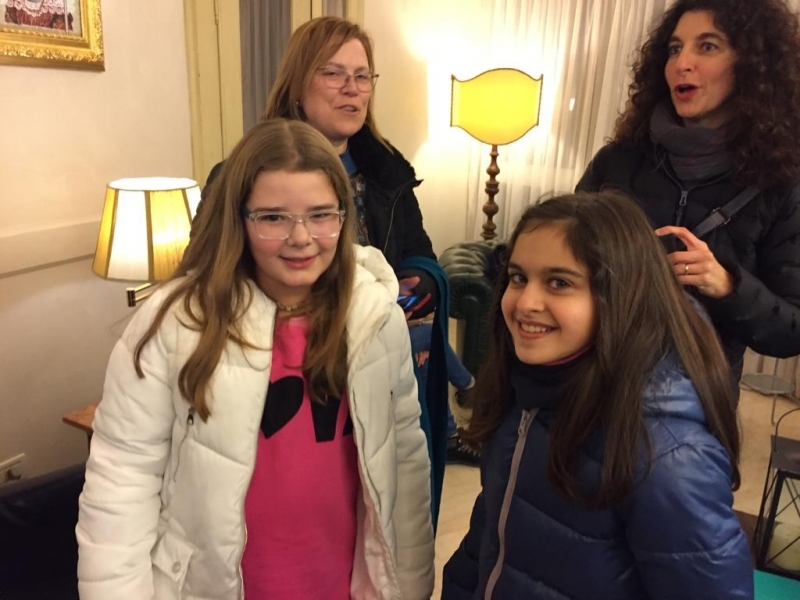 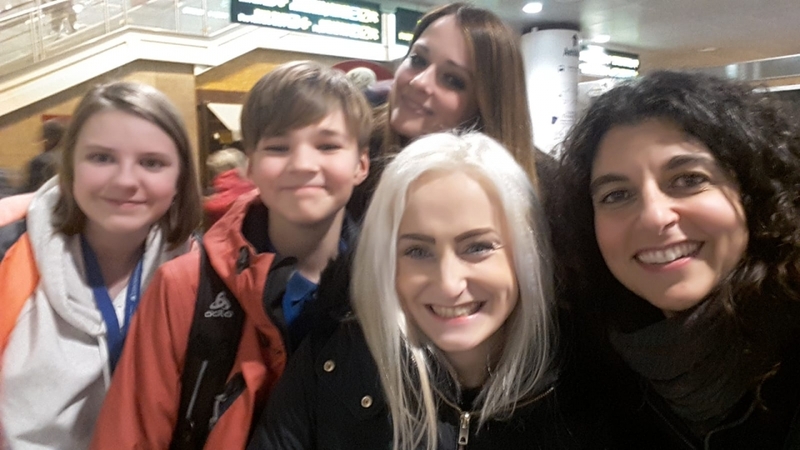 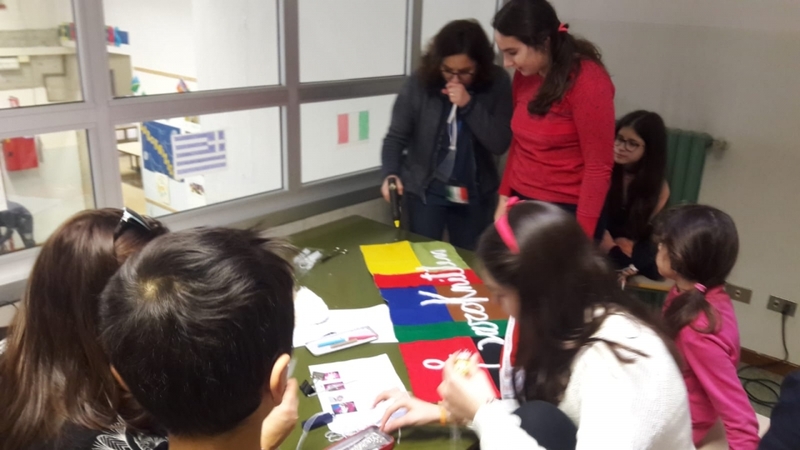 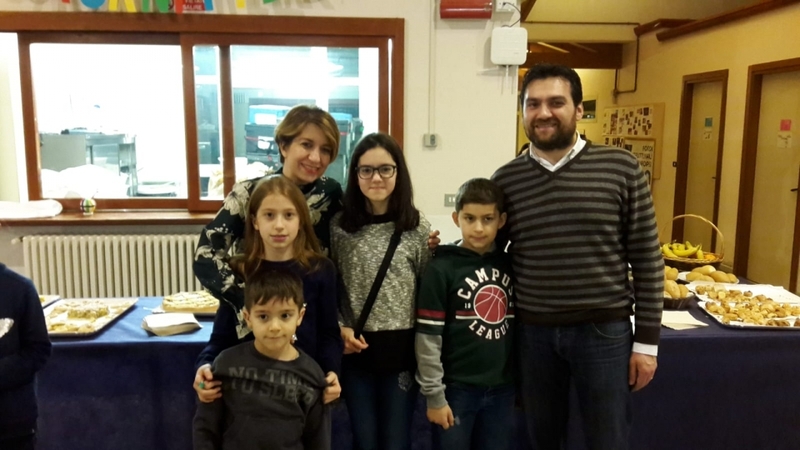 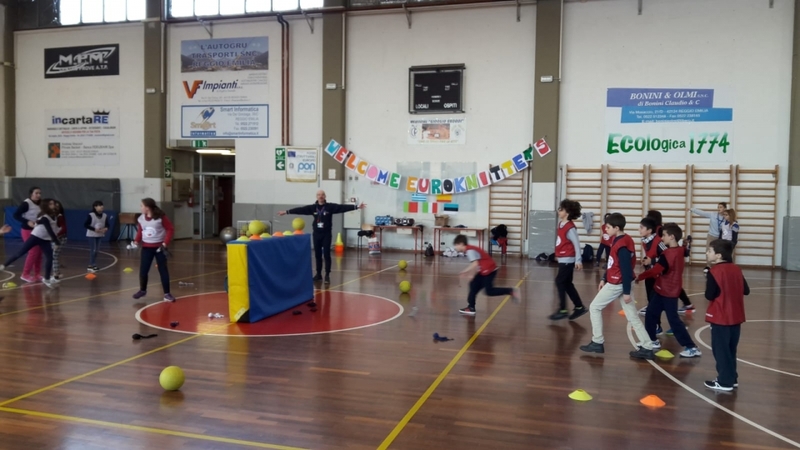 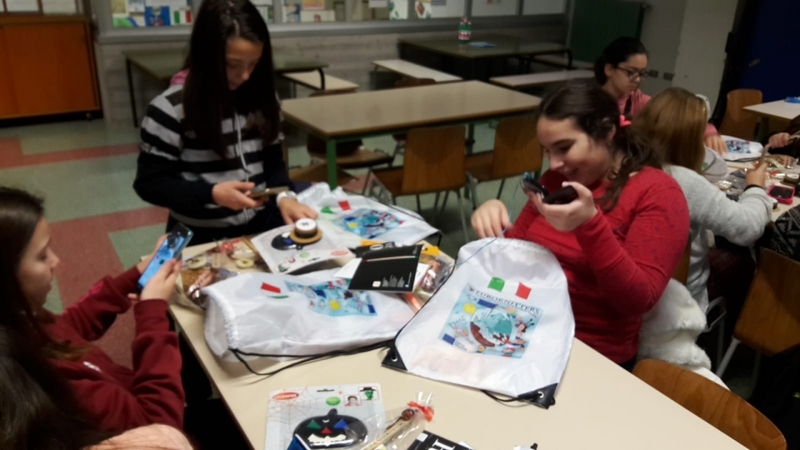 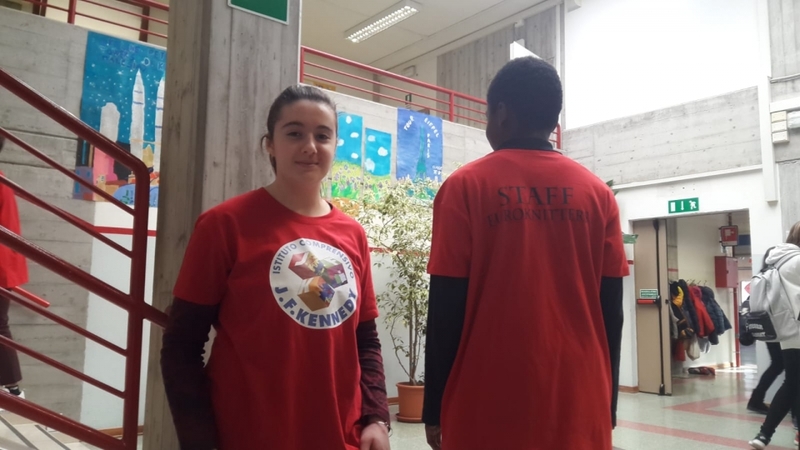 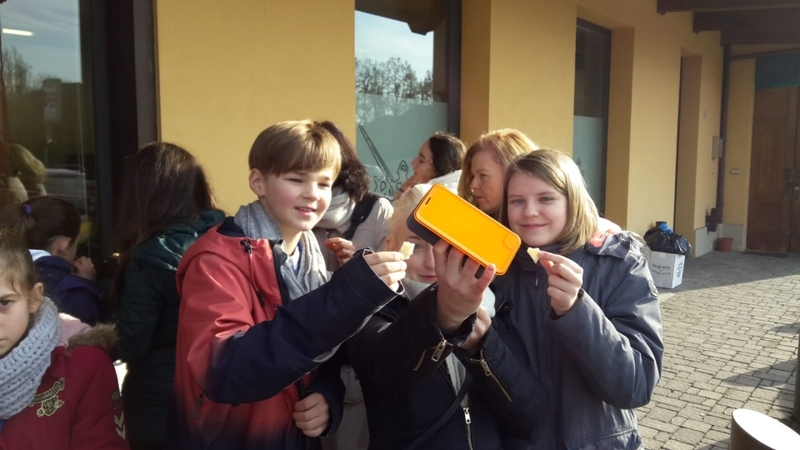 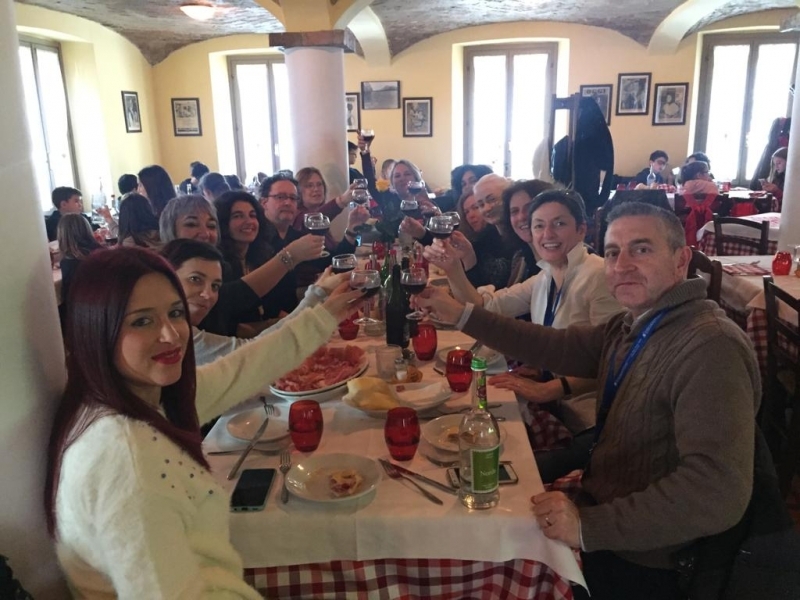 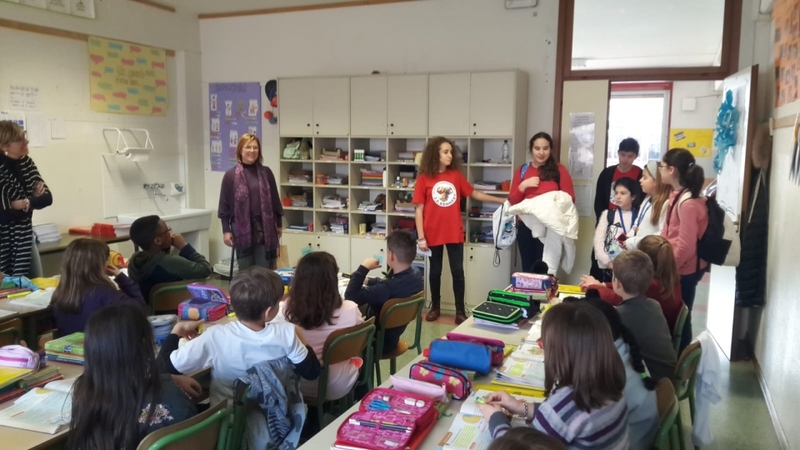 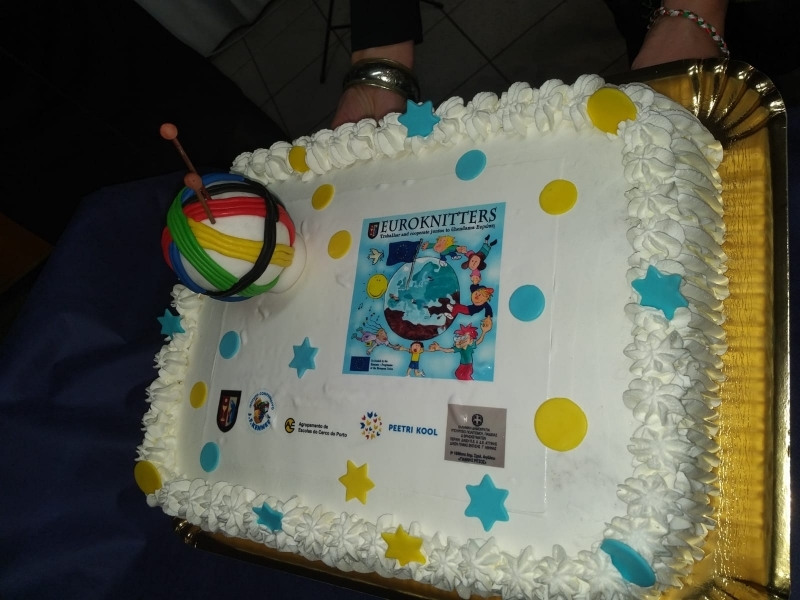 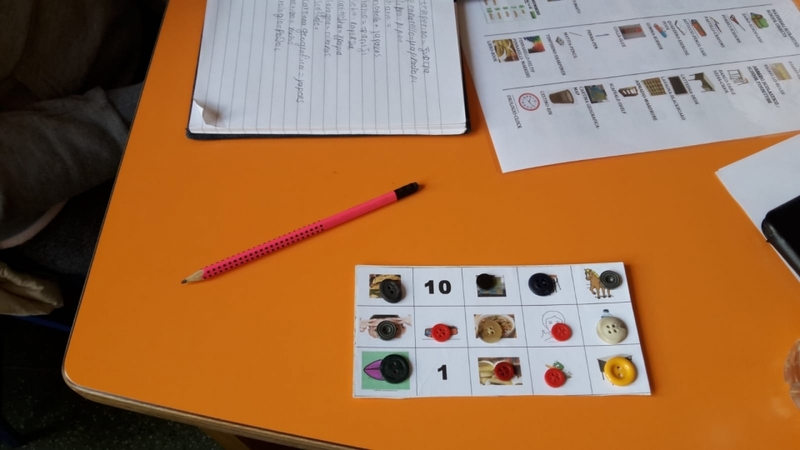 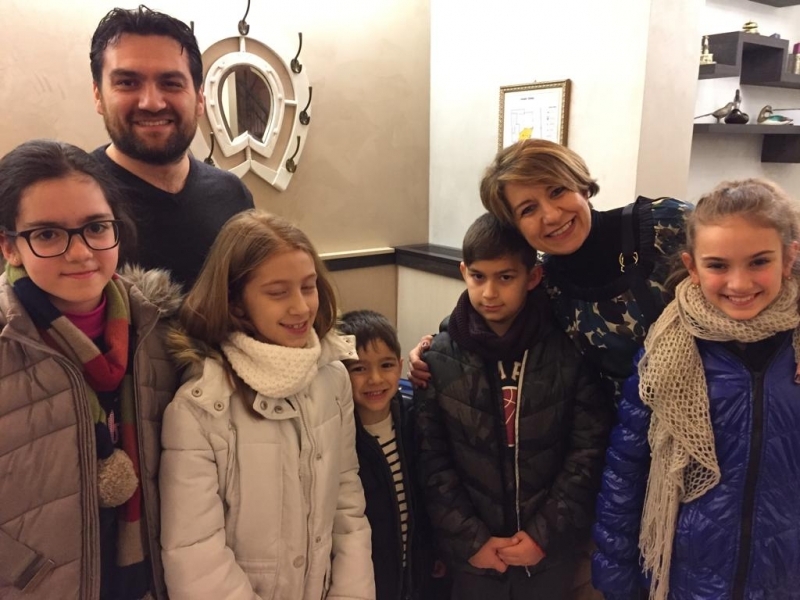 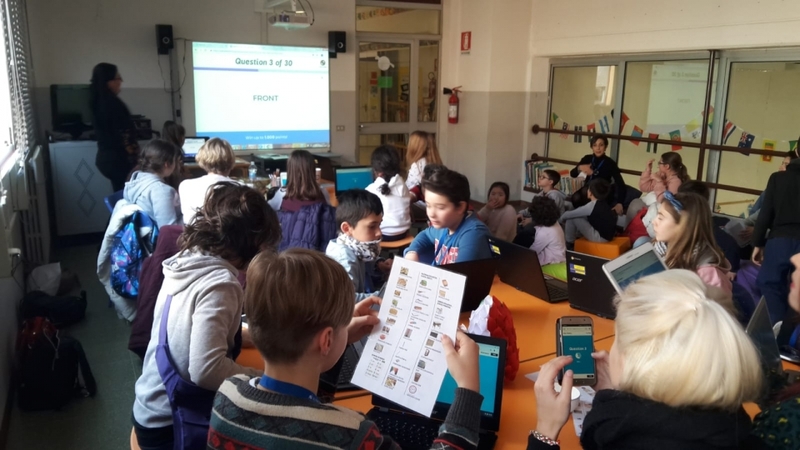 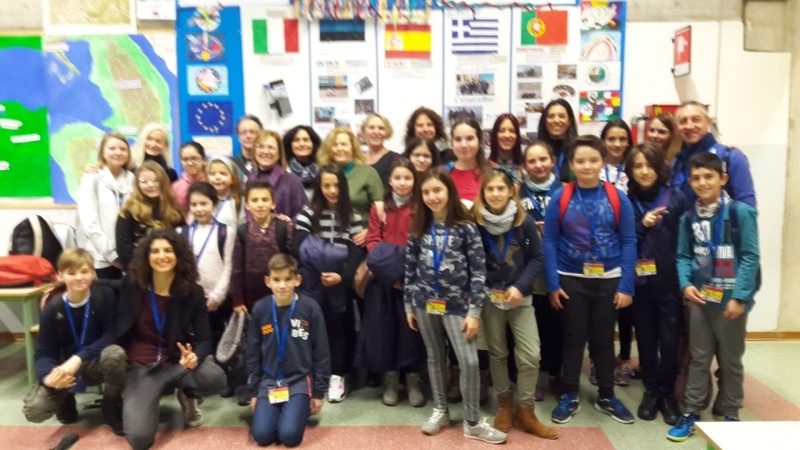 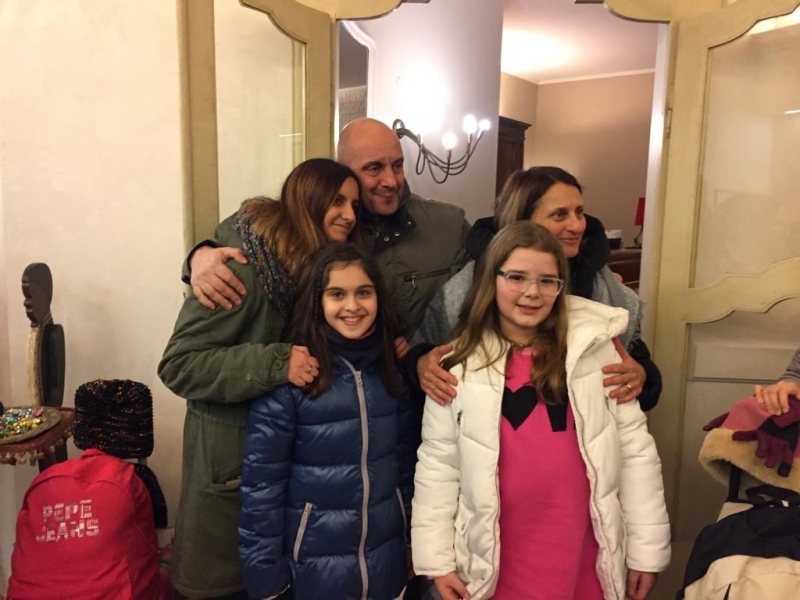 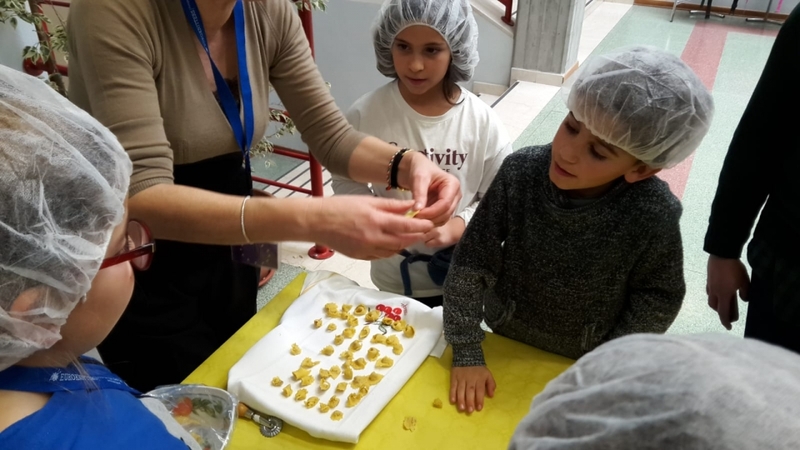 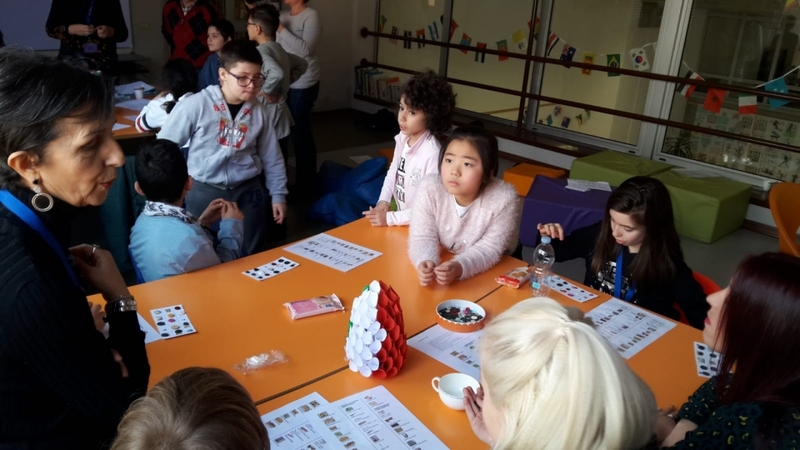 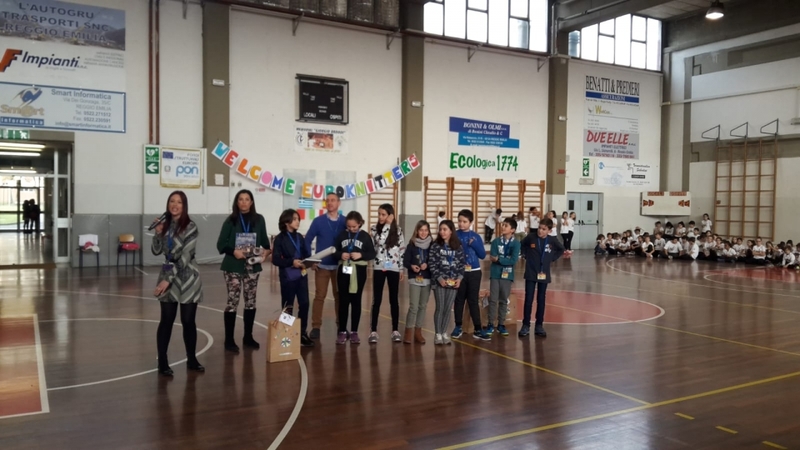 During the break reporter of Telereggio made an interview with coordinators and some students and all together we made a connection with every country for greetings!Great! 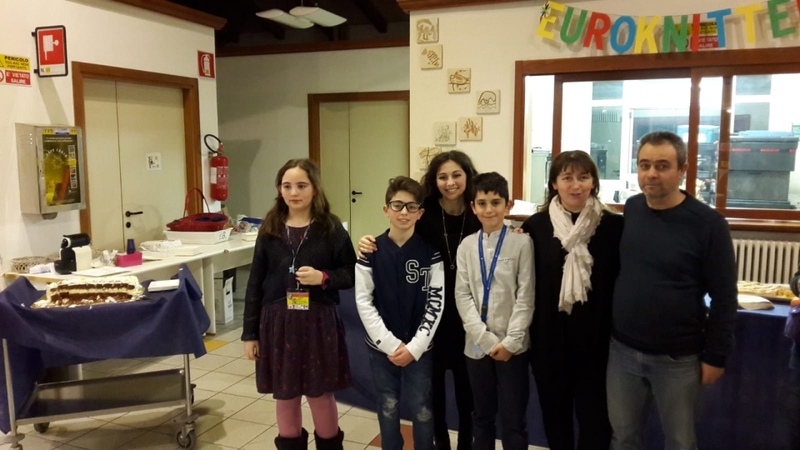 At the end of the morning we made two funny workshop about italian language! 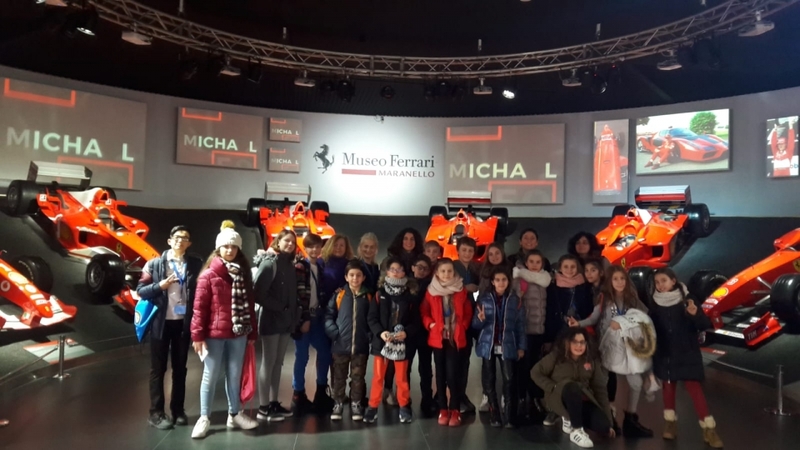 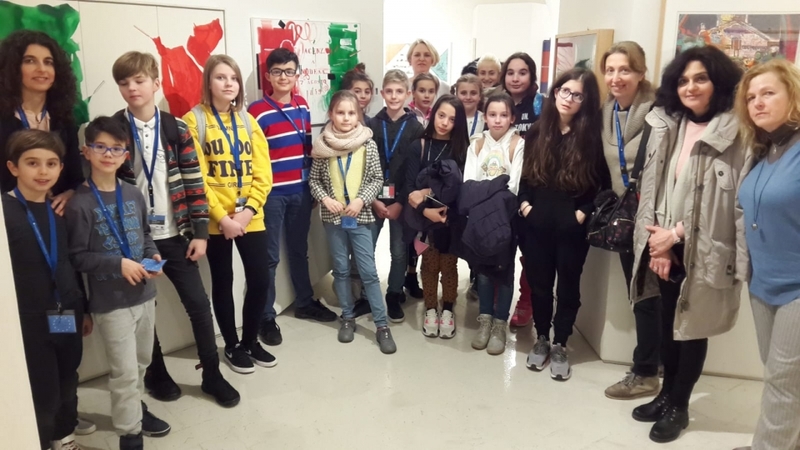 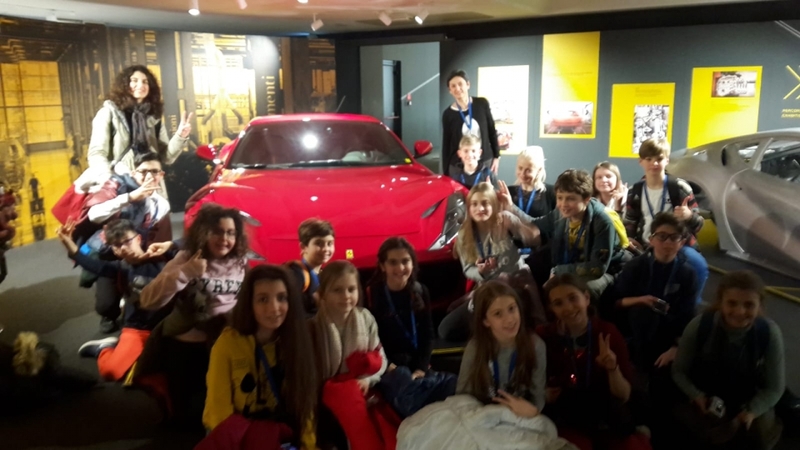 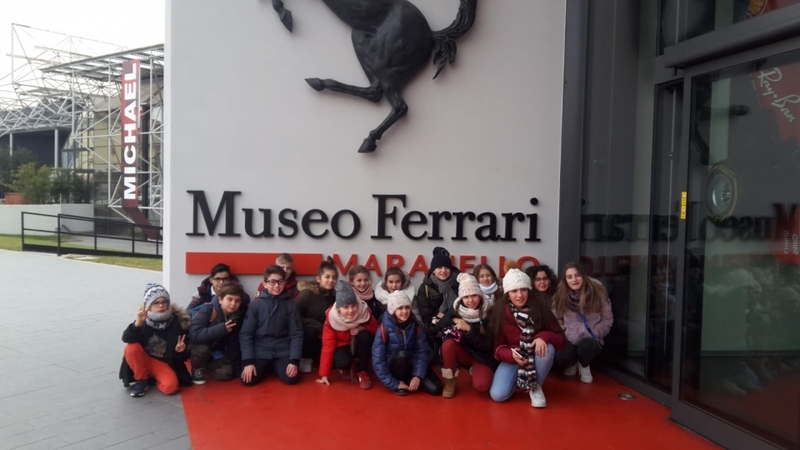 During the afternoon we visited the Ferrari museum with many incredible cars and the deputy of Education welcome the Euroknitters in Tricolore room! 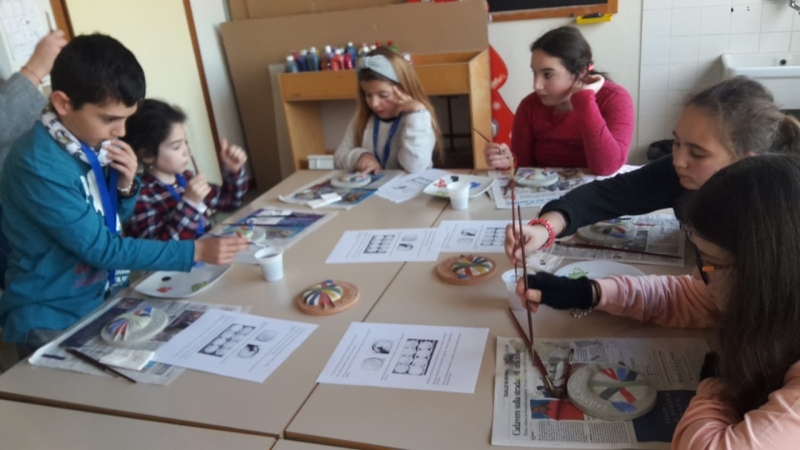 Today was the Tapestry day. 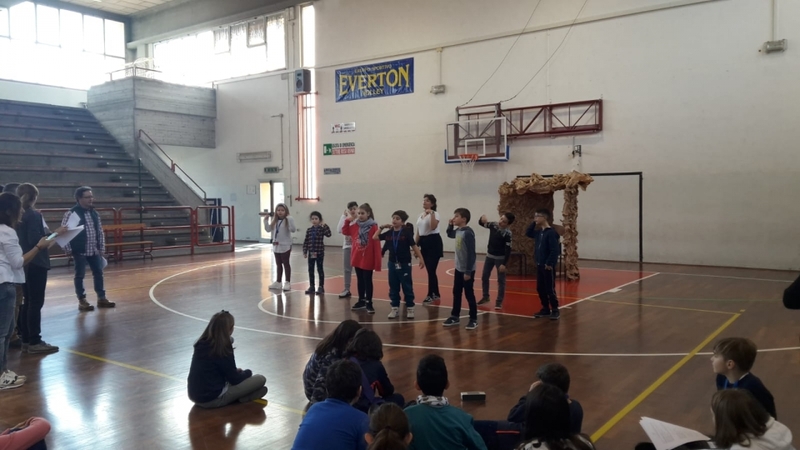 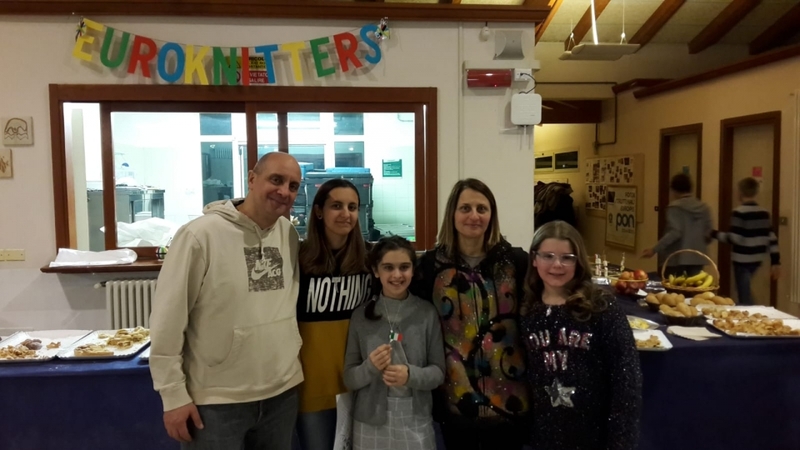 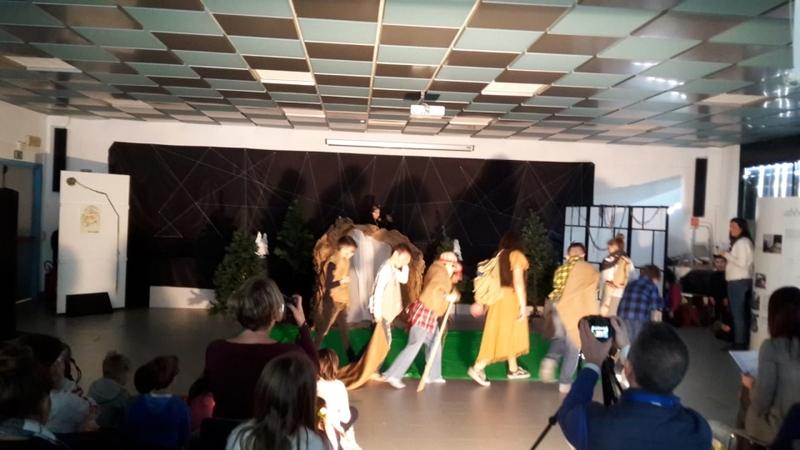 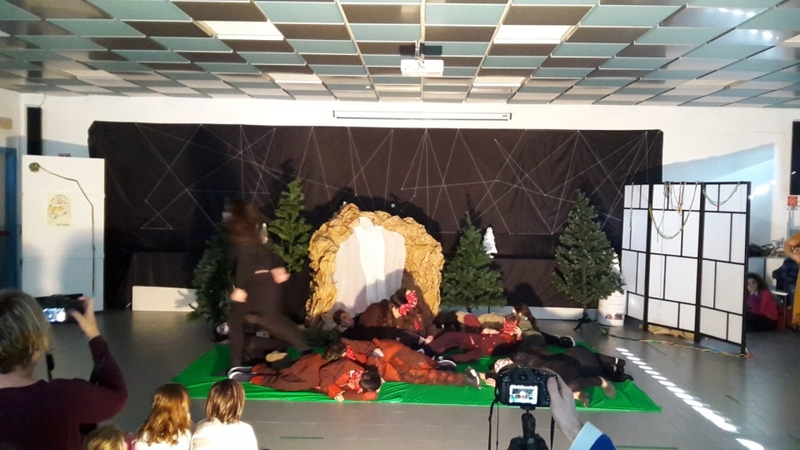 The Euroknitters performed the play in Zavattini hall. 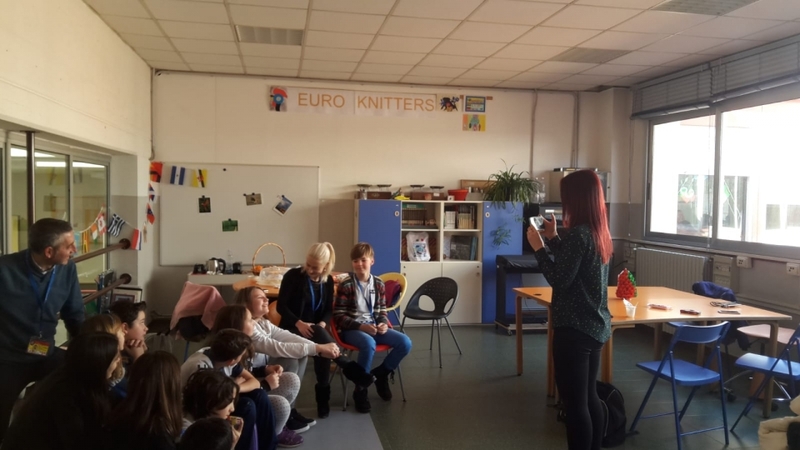 They were very good: the knitters, the assistants, the wolves, the evil beings and all the other caracters! 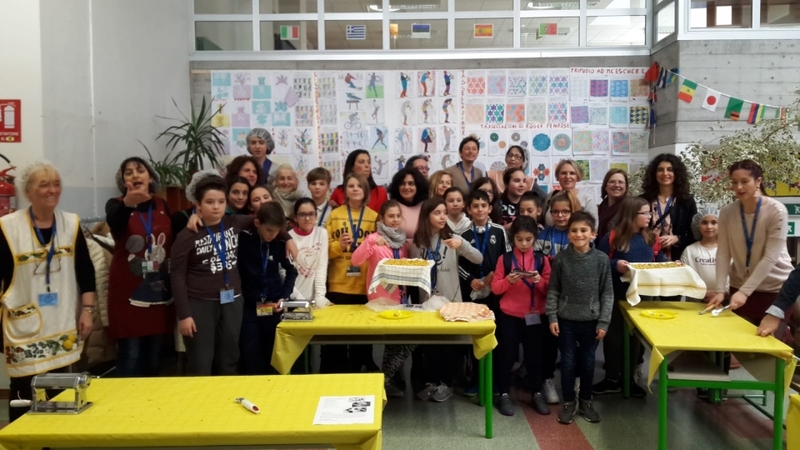 Now…è here is the last peace of Tapestry? 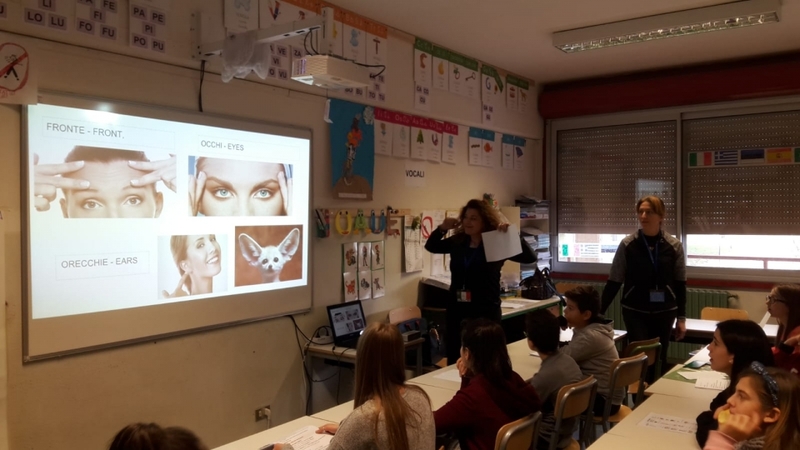 Maybe in Spain? 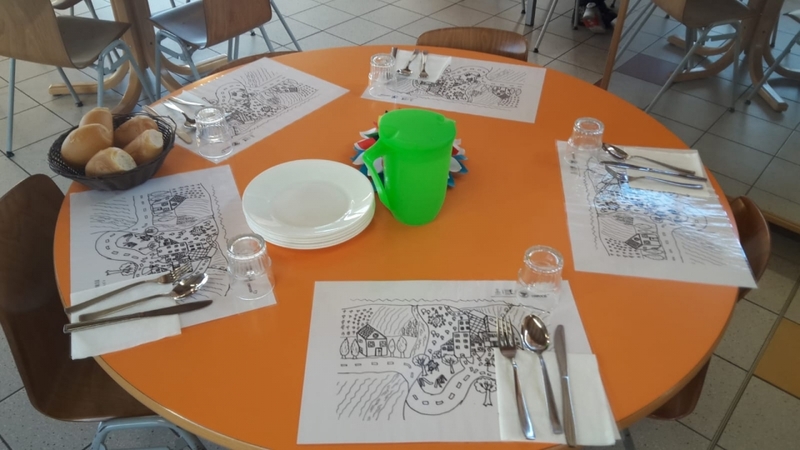 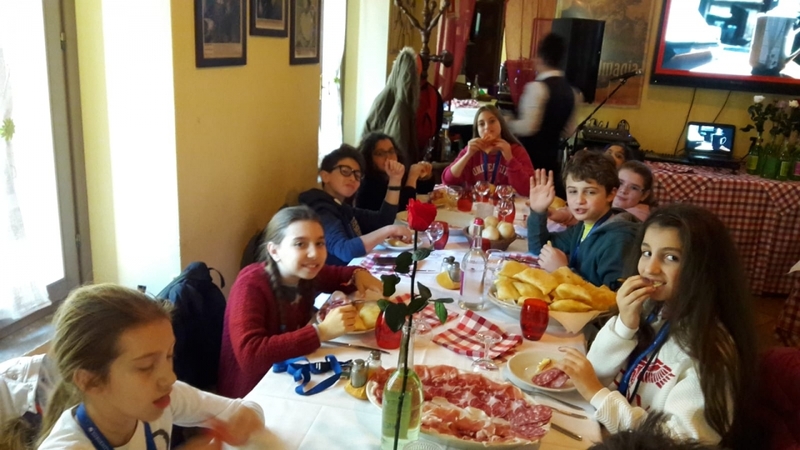 In the evening a dinner all together in the school canteen: typical food, songs, music and greetings! 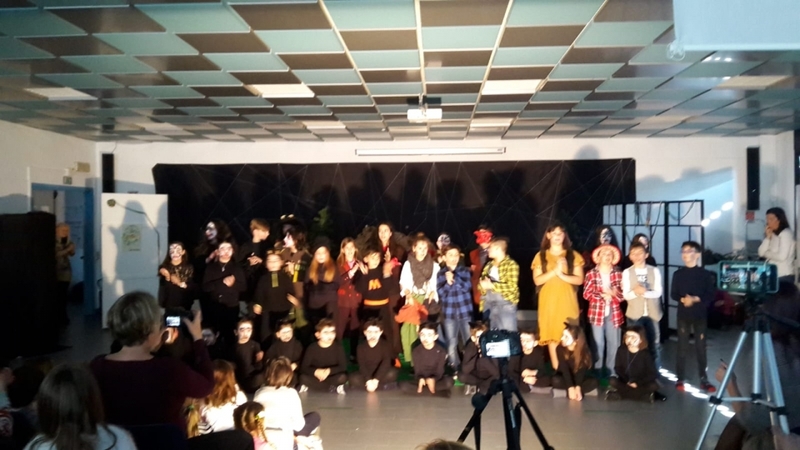 It was a fantastic week and we are so proud about our work!!! 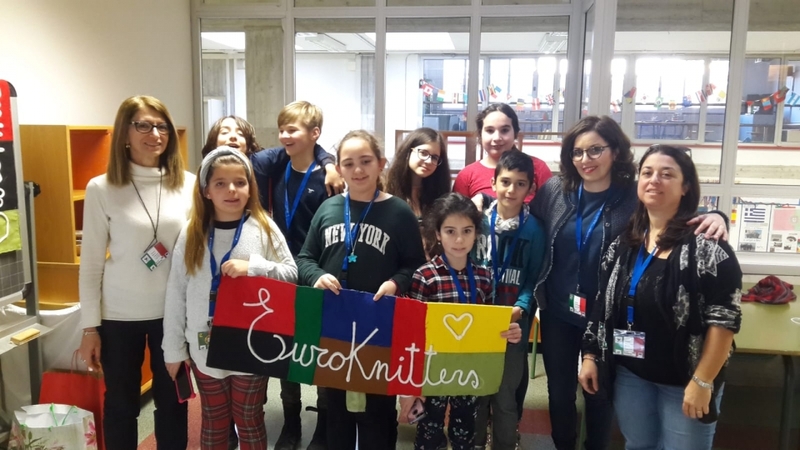 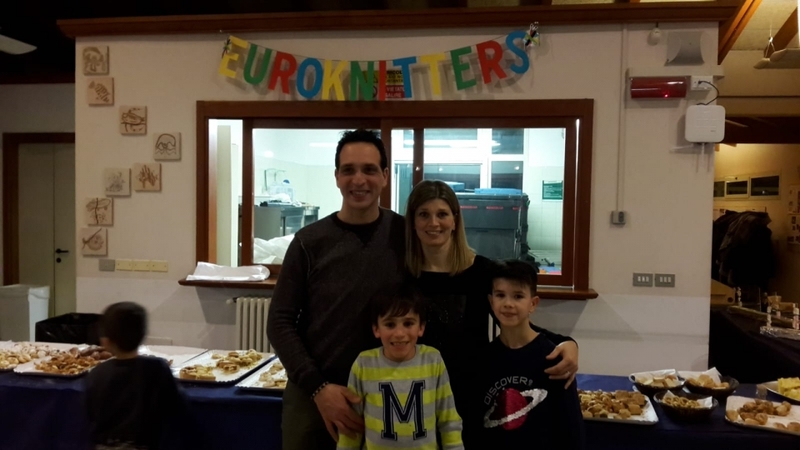 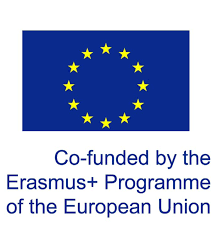 WE WILL MISS YOU DEAR EUROKNITTERS!